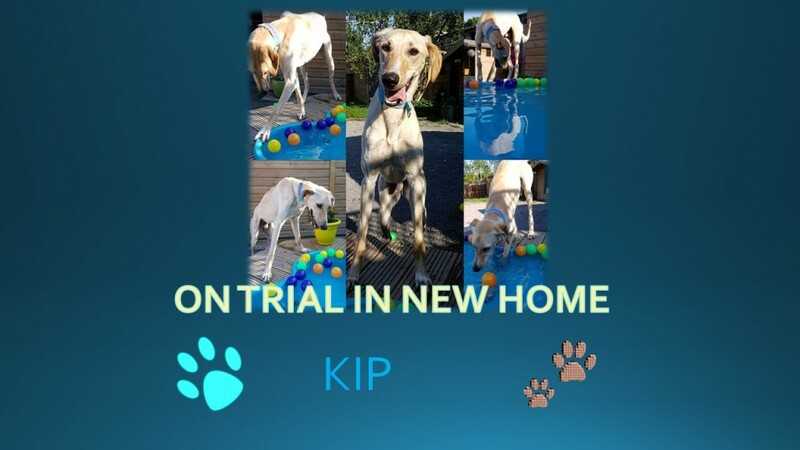 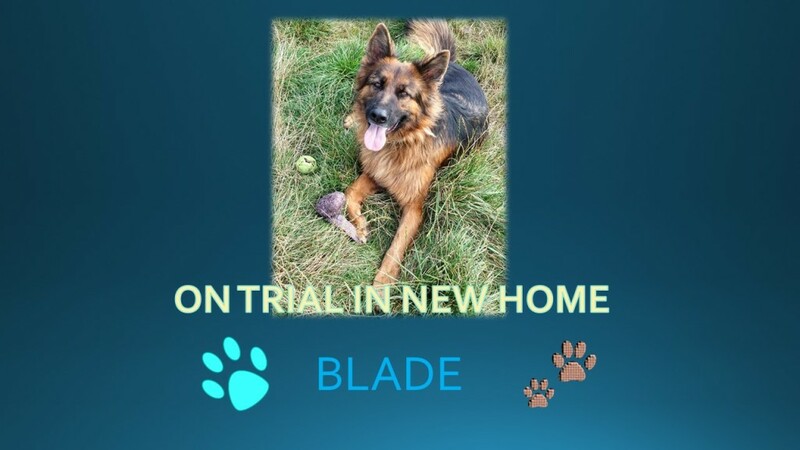 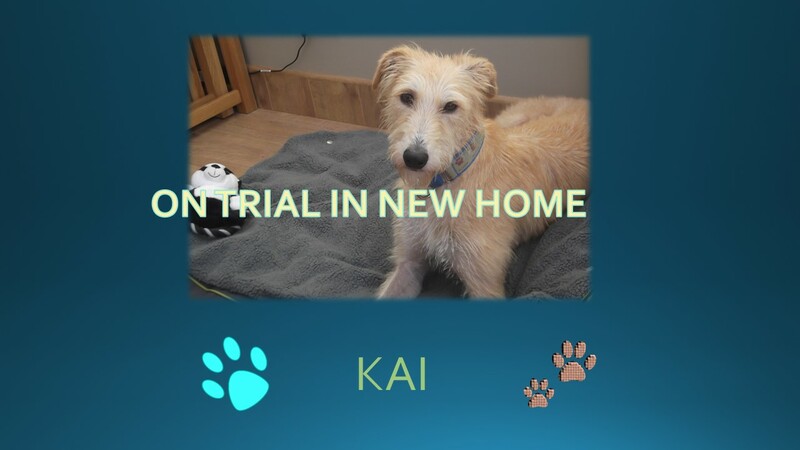 ON TRIAL means the dog has gone off “on trial” to his/her forever home and therefore is no longer available for enquiries. 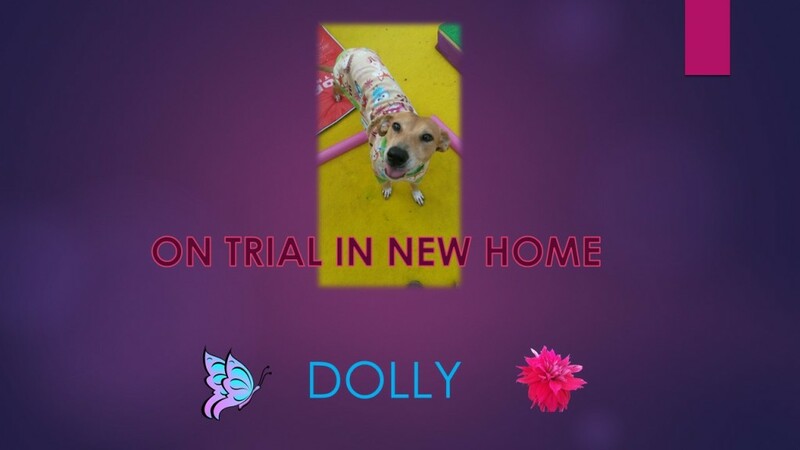 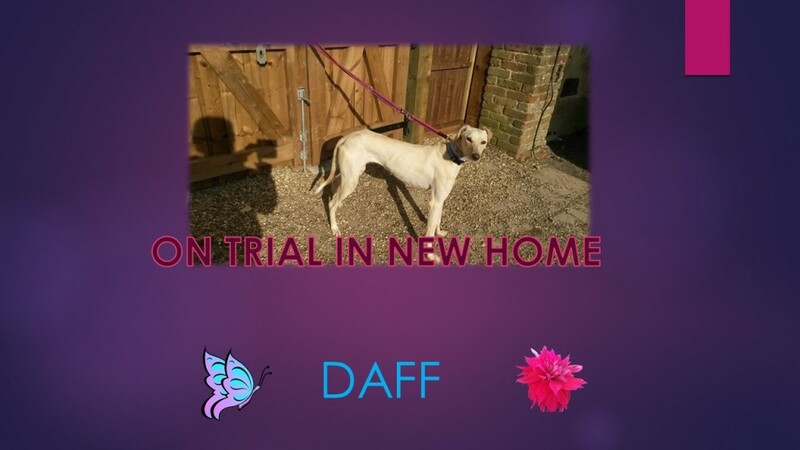 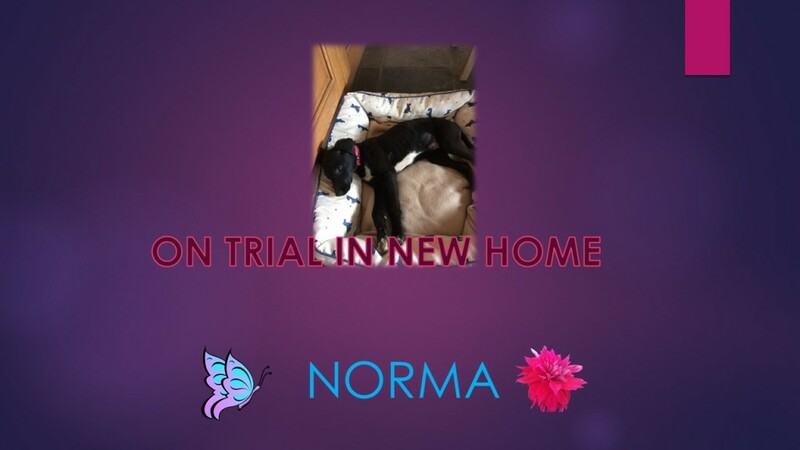 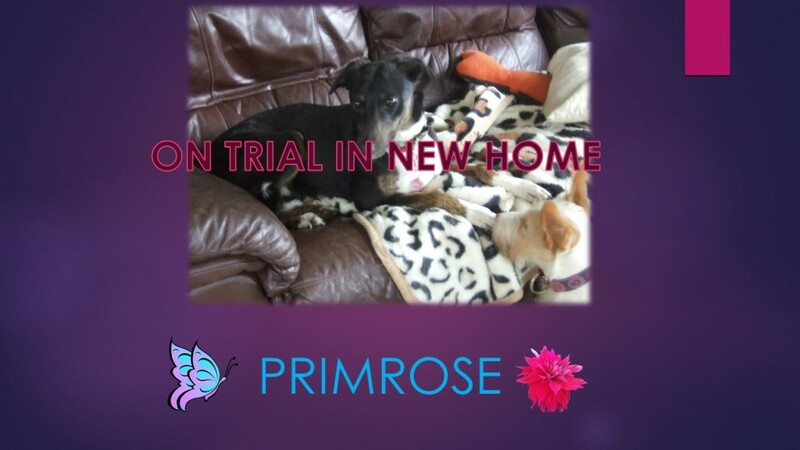 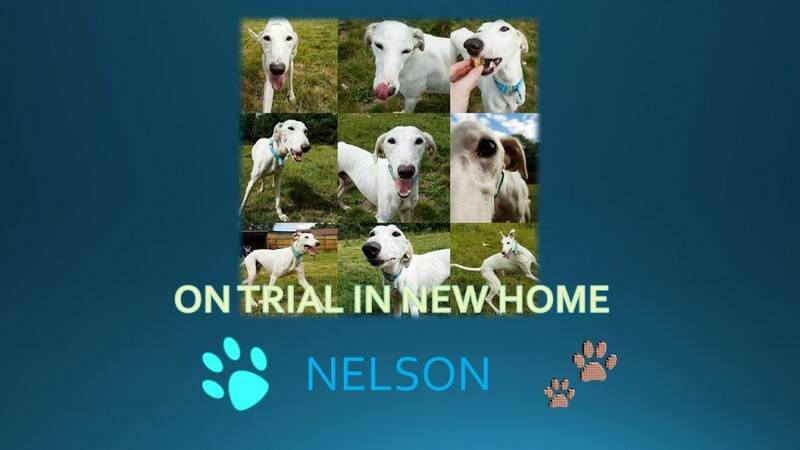 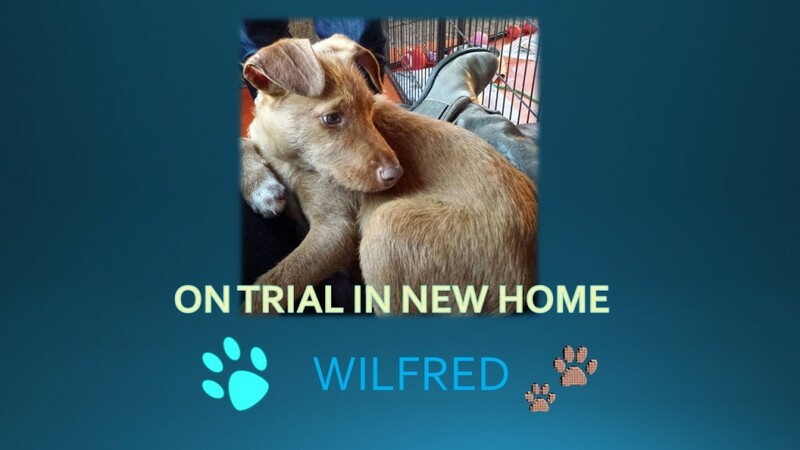 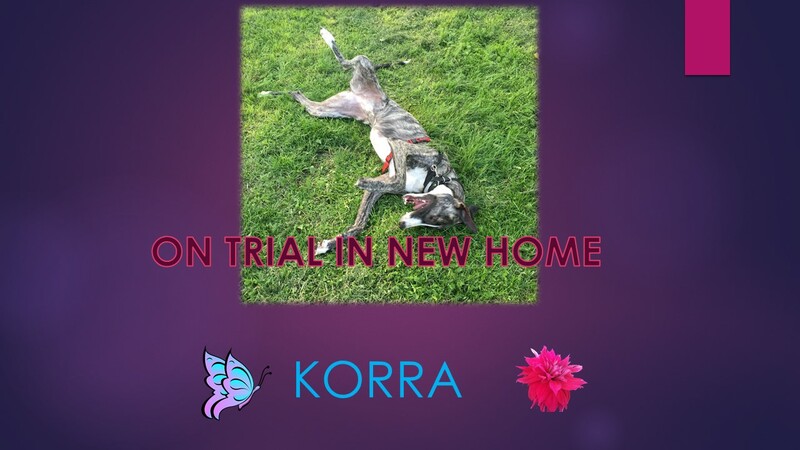 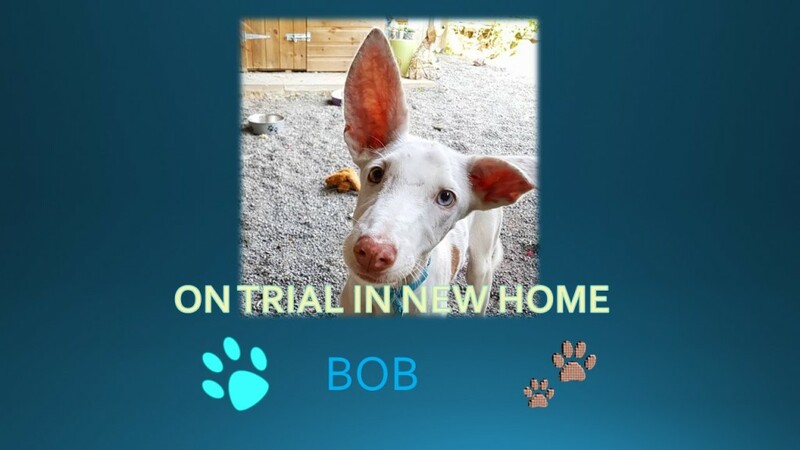 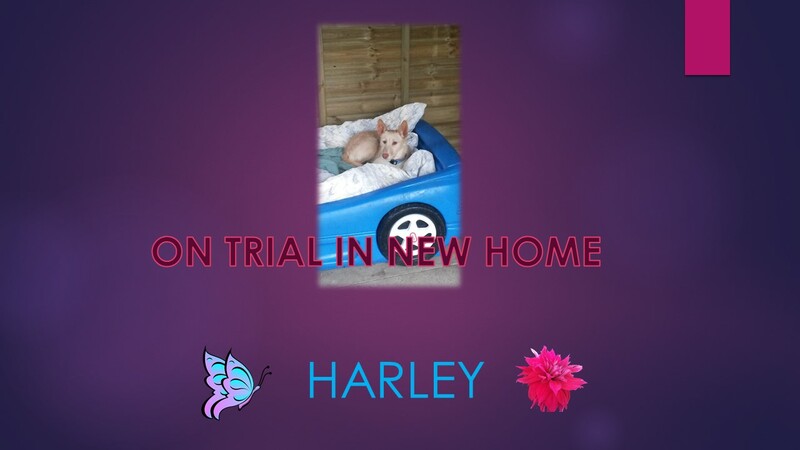 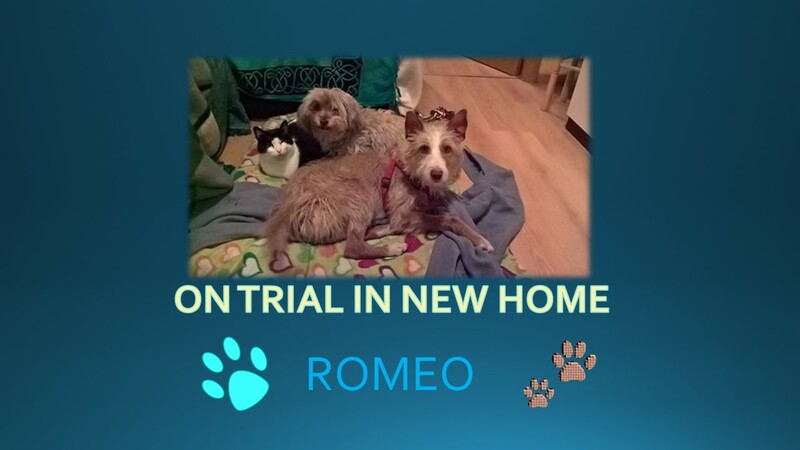 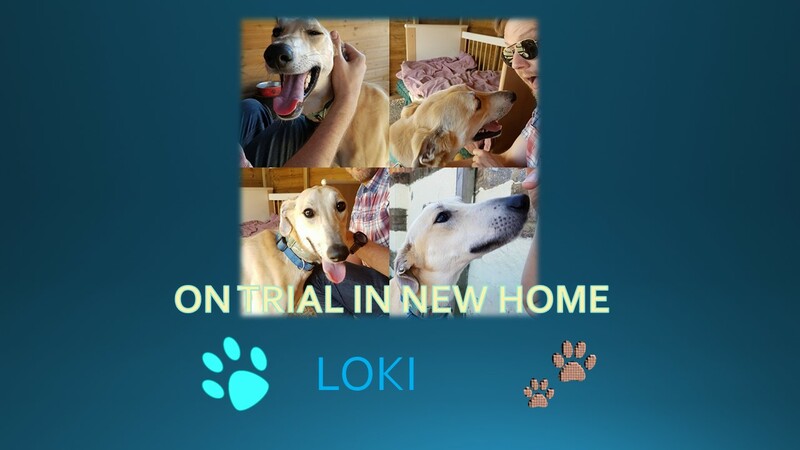 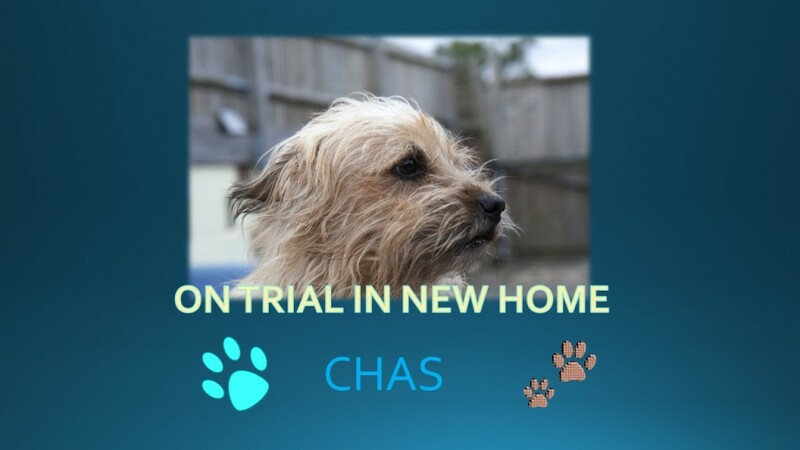 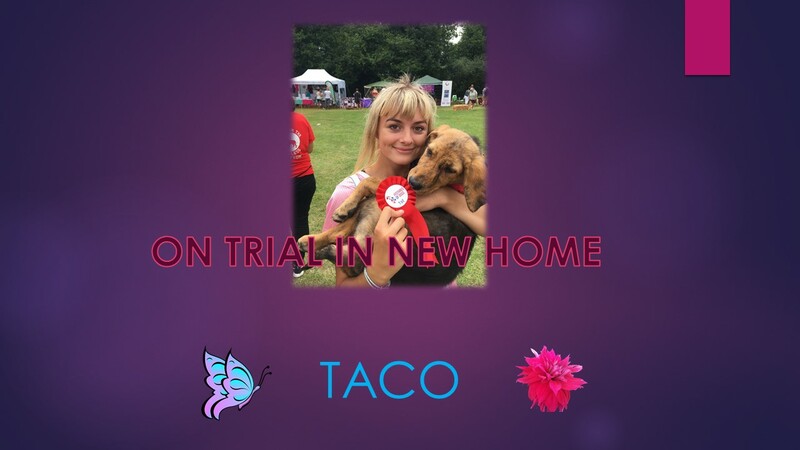 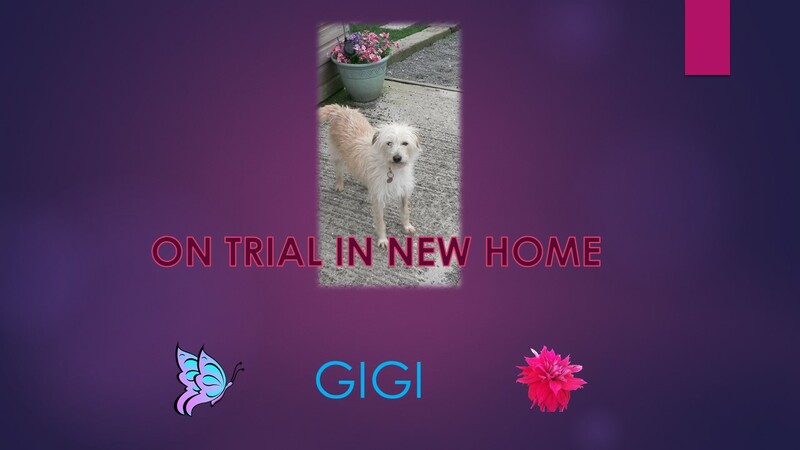 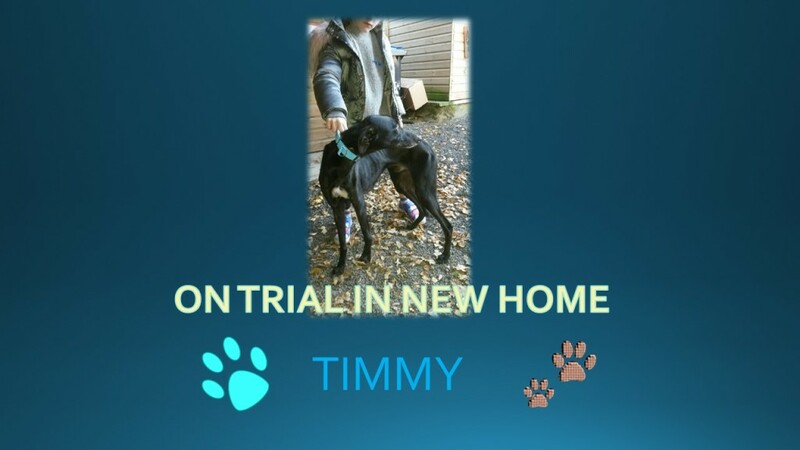 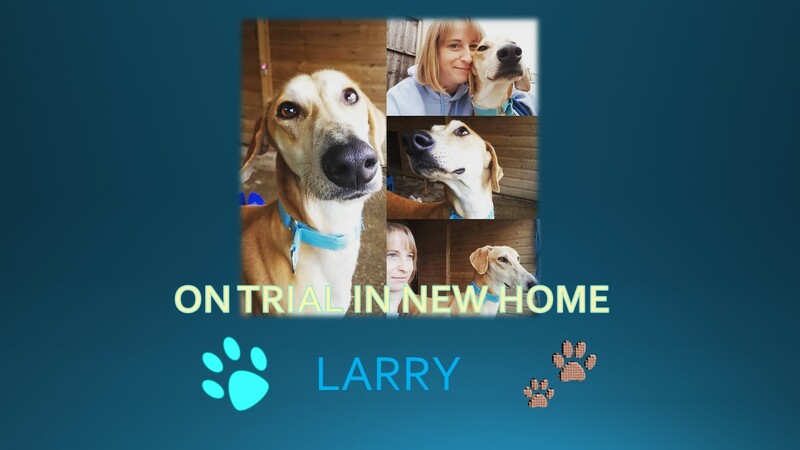 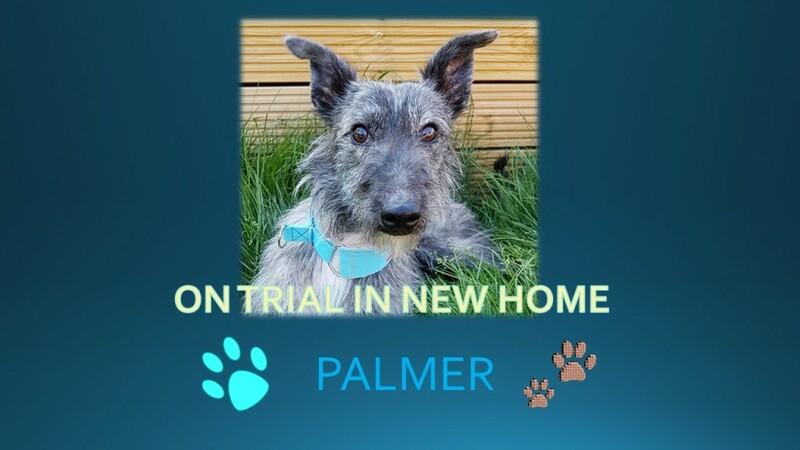 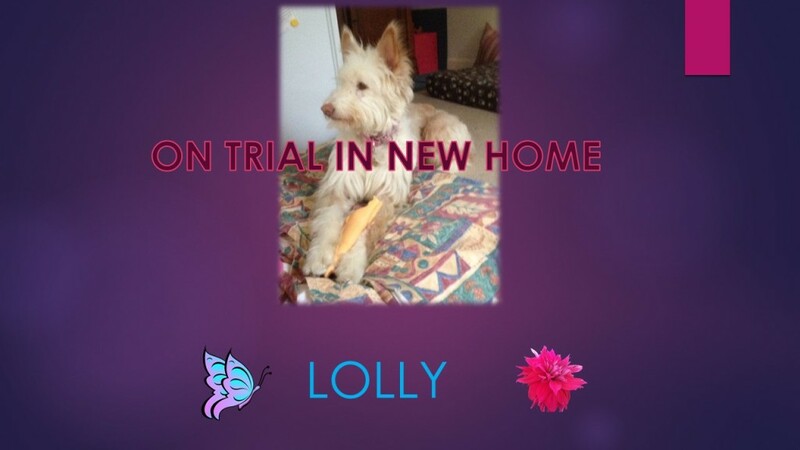 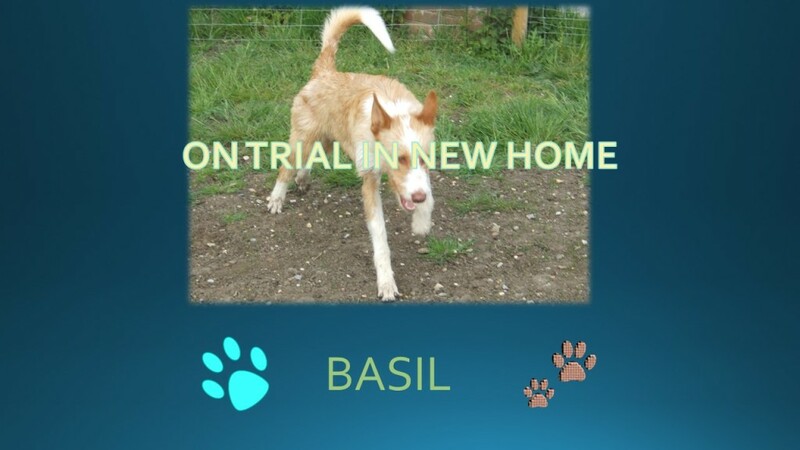 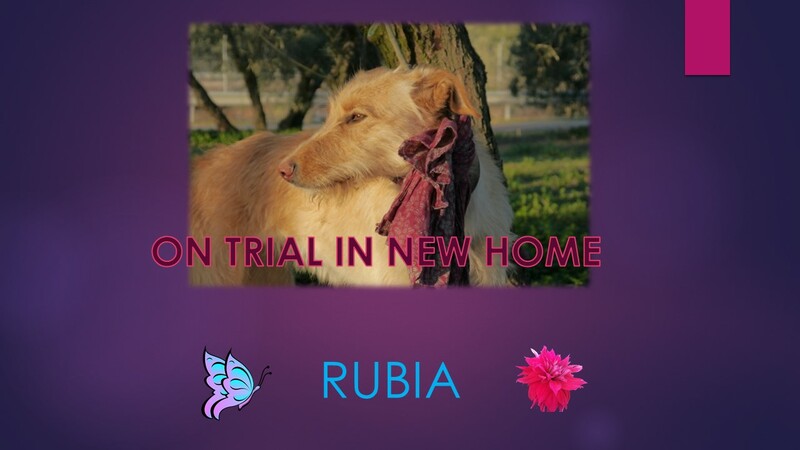 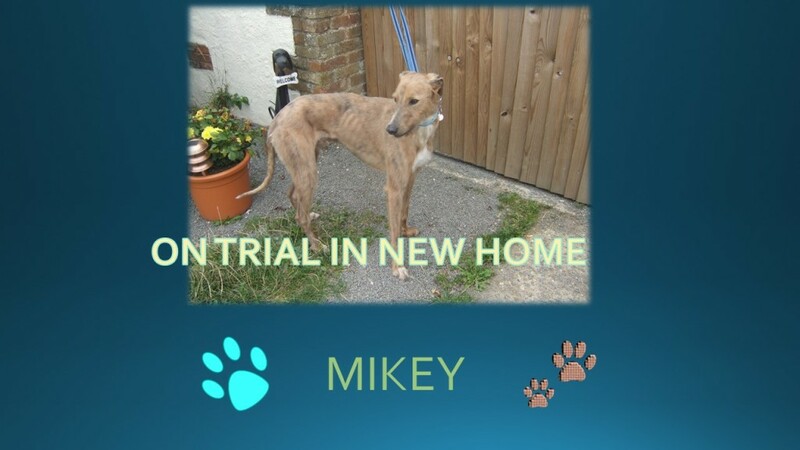 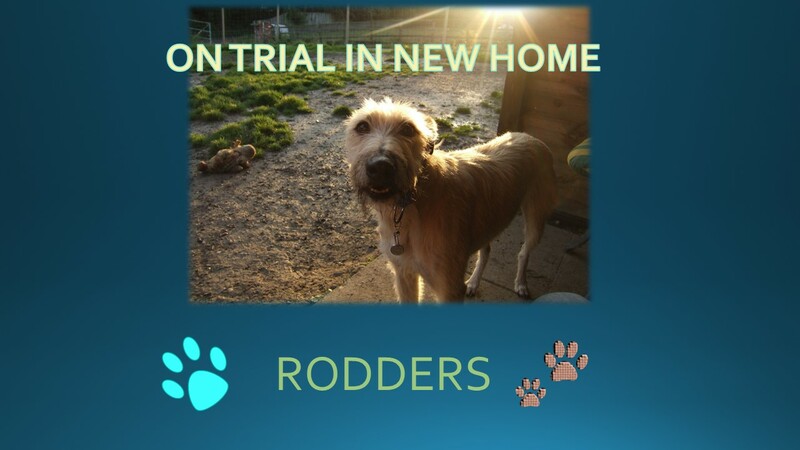 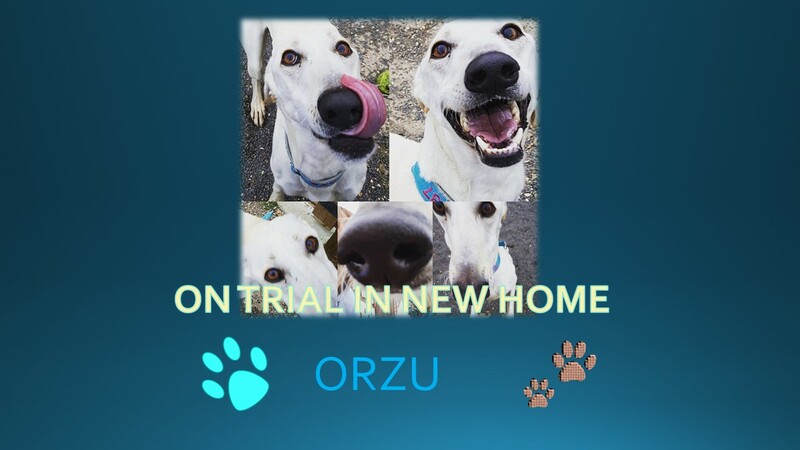 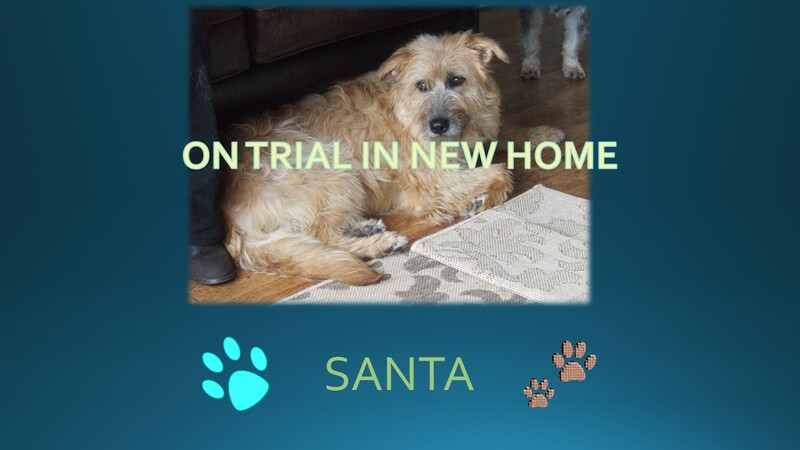 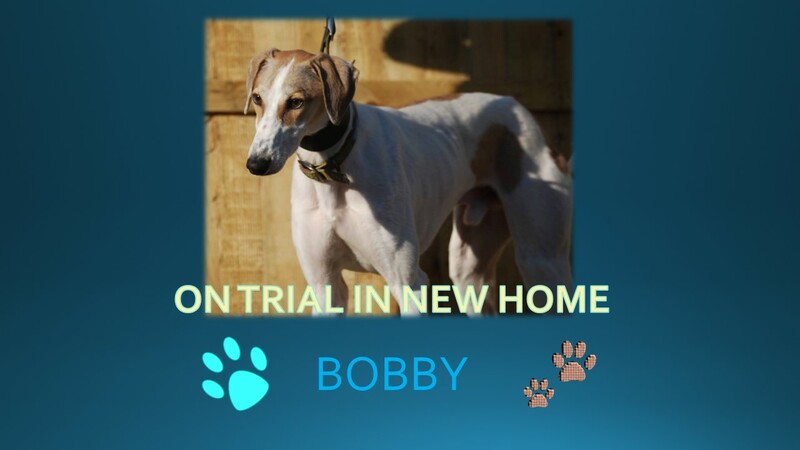 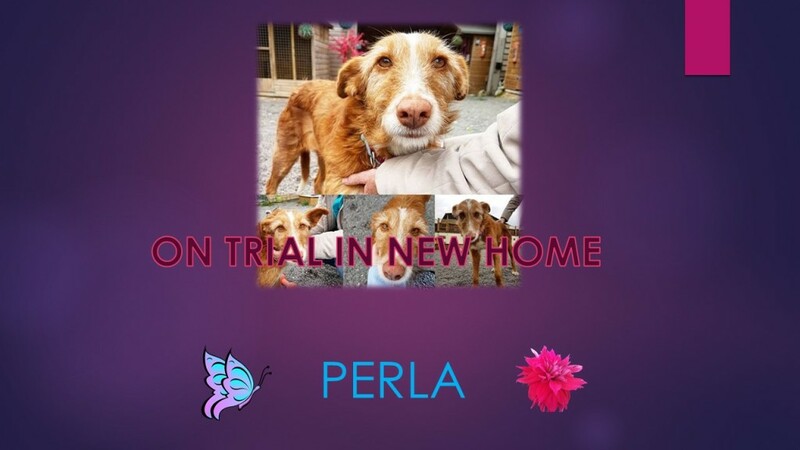 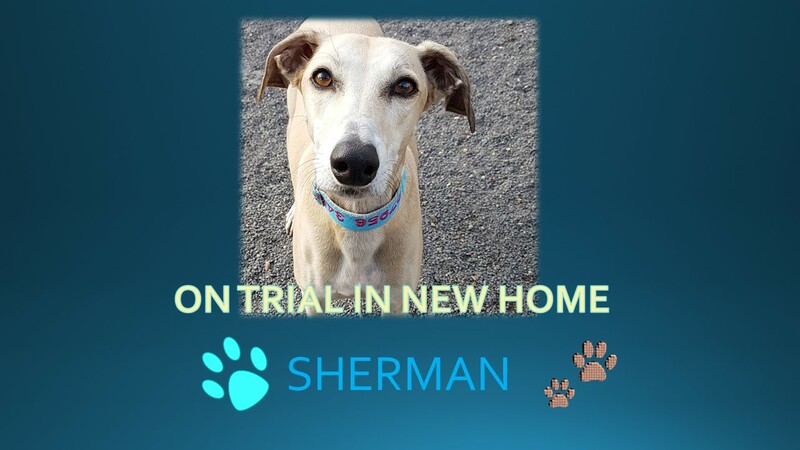 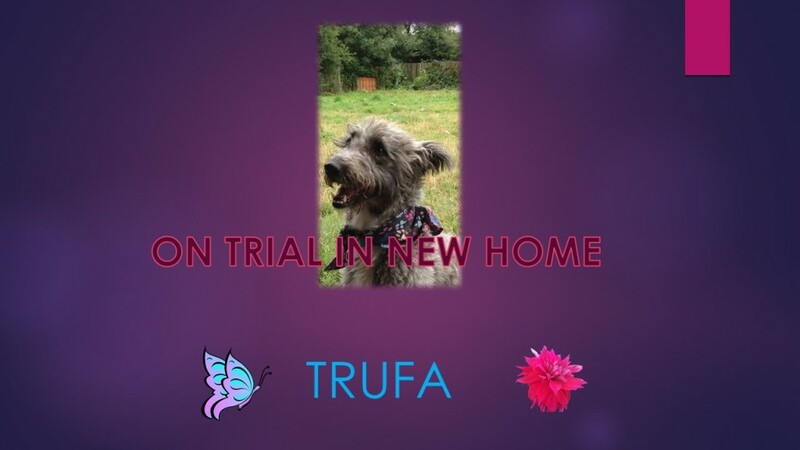 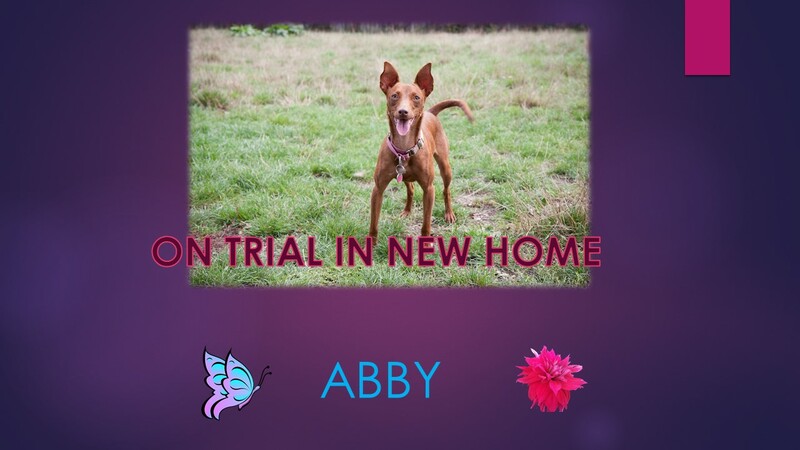 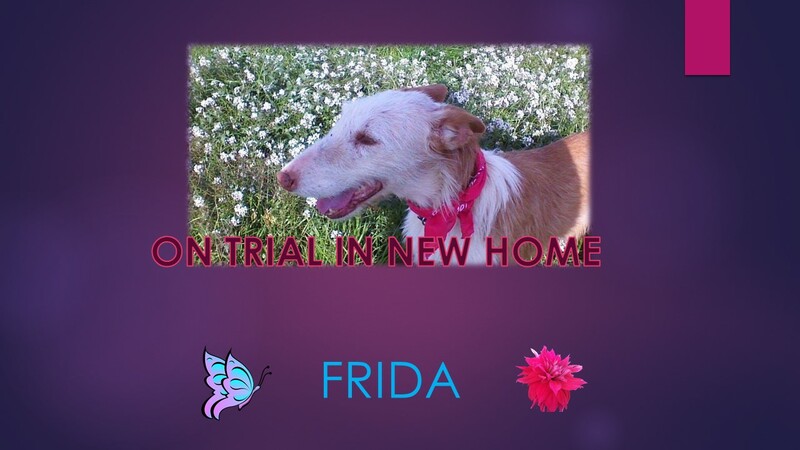 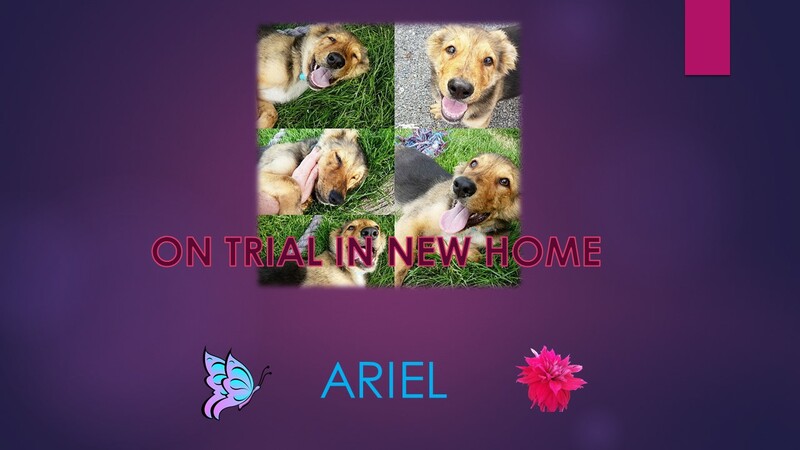 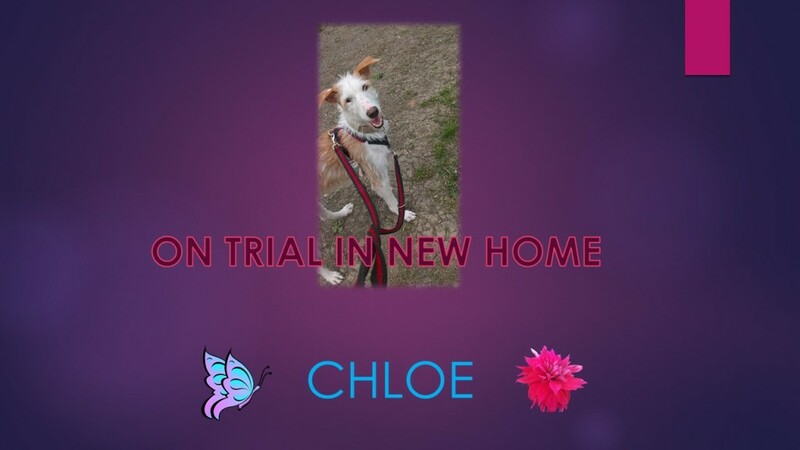 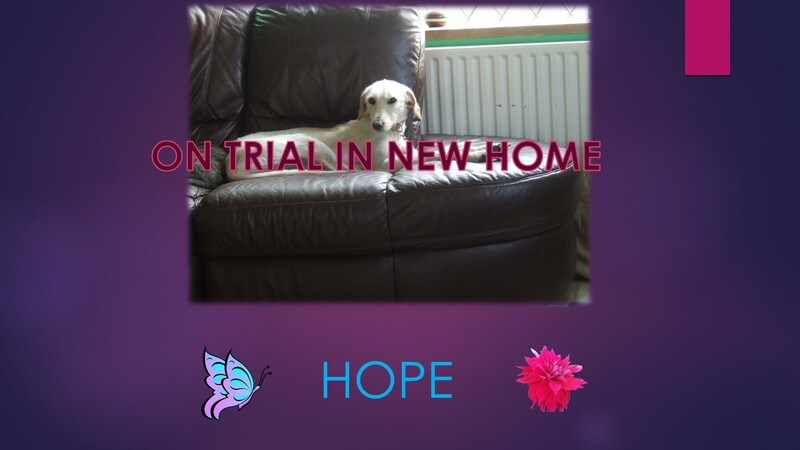 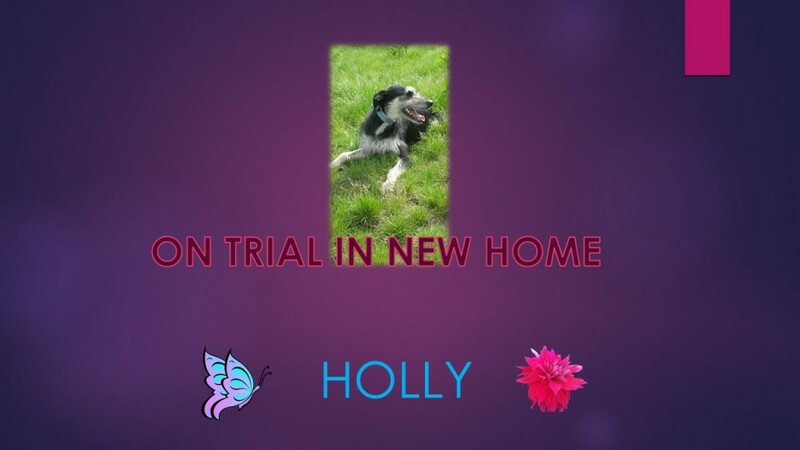 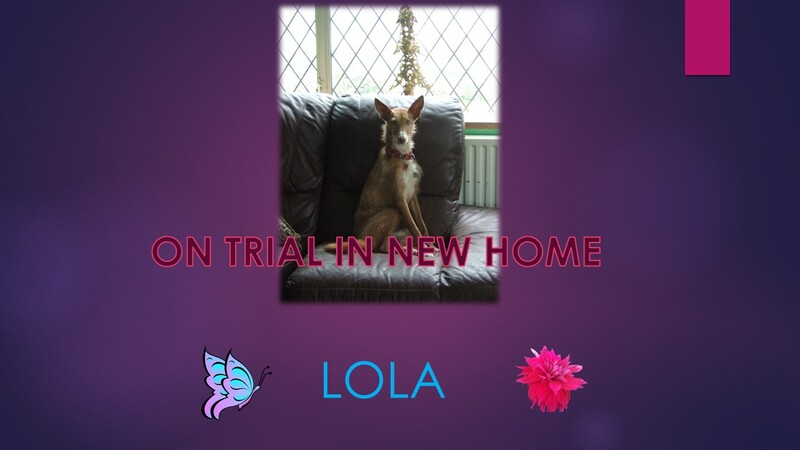 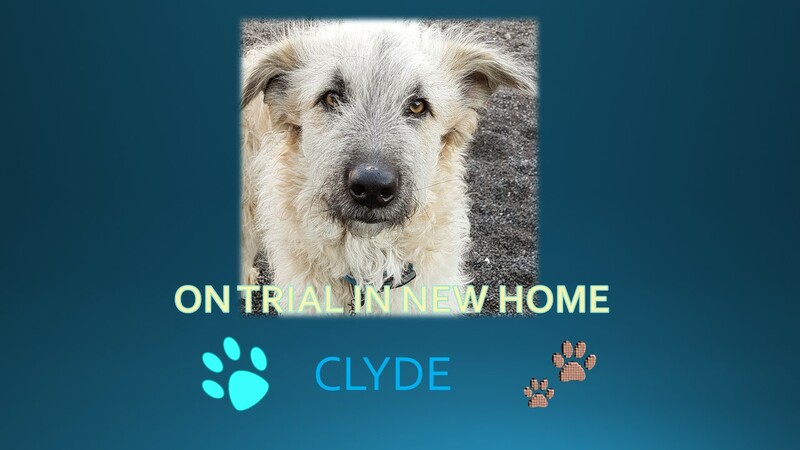 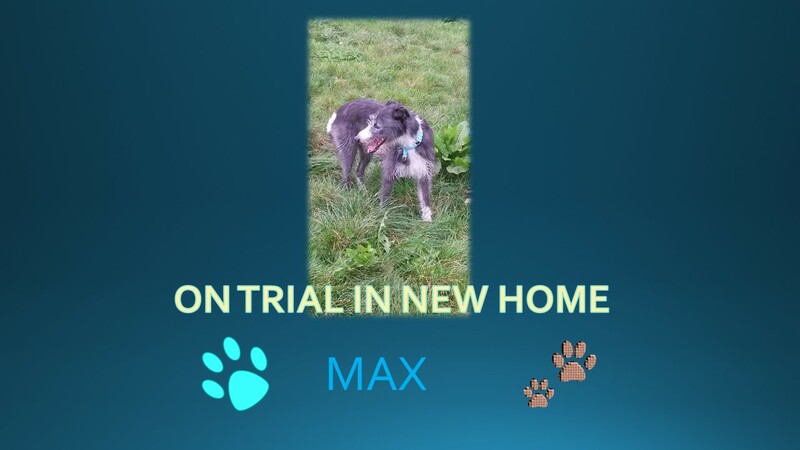 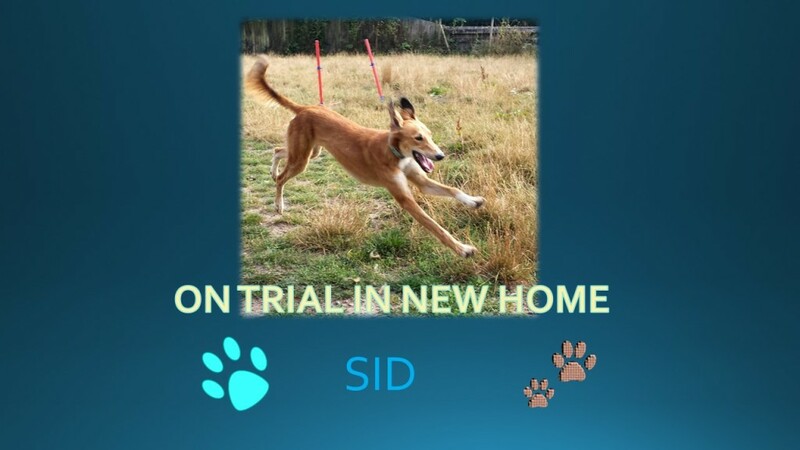 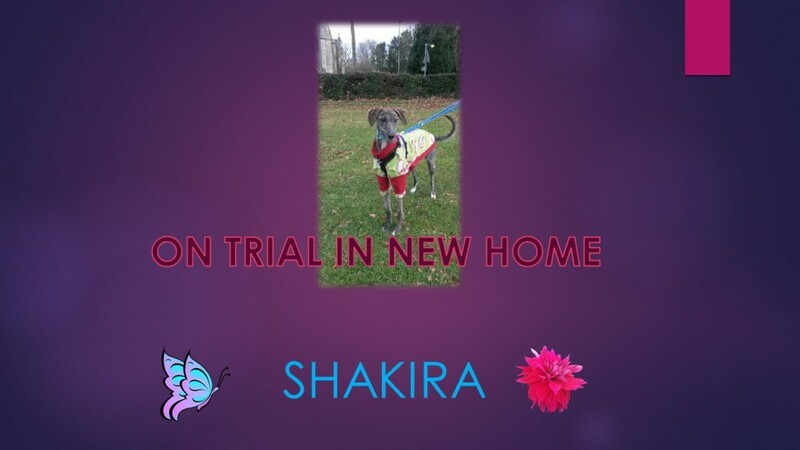 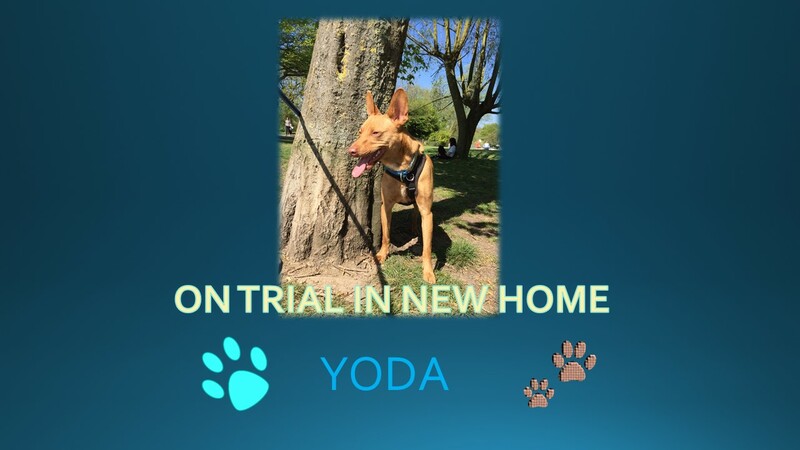 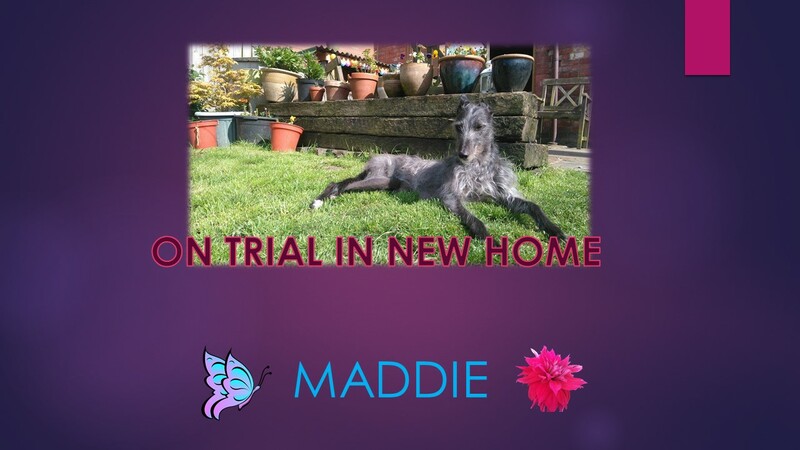 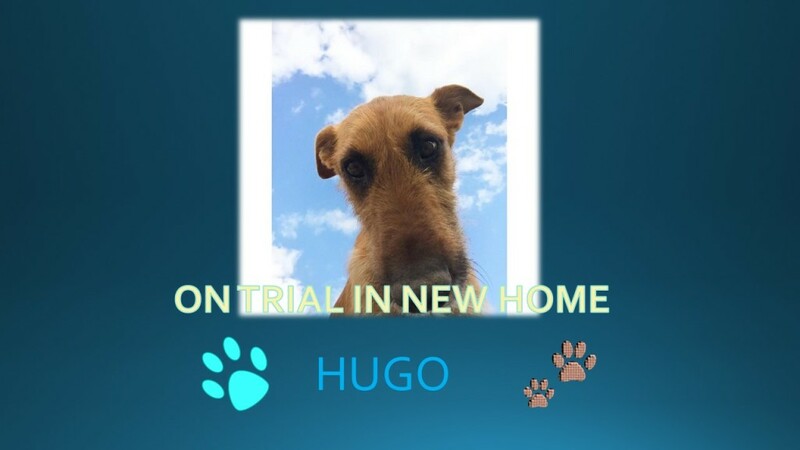 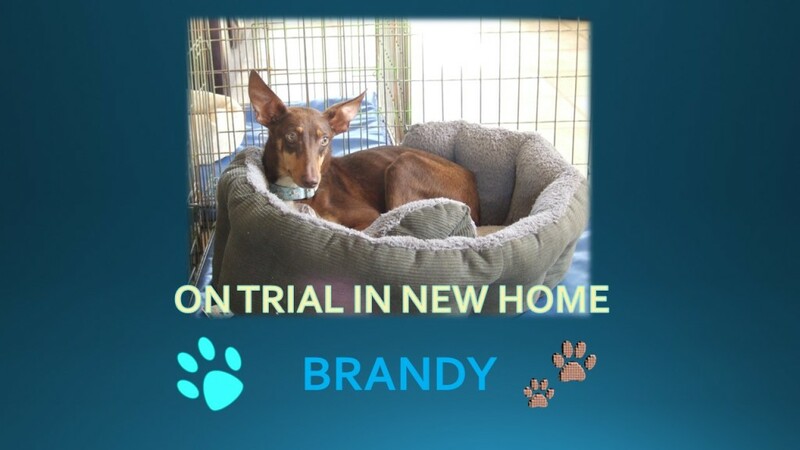 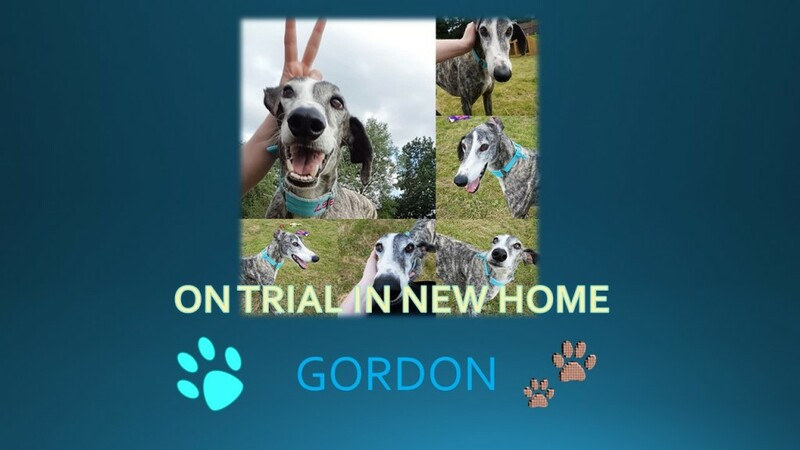 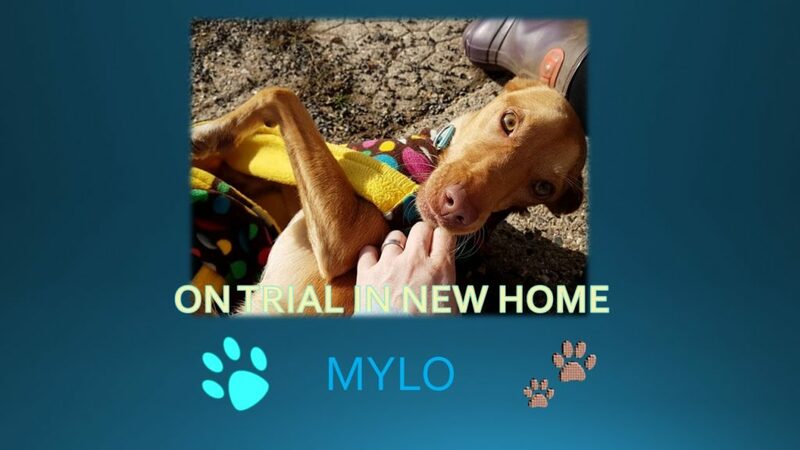 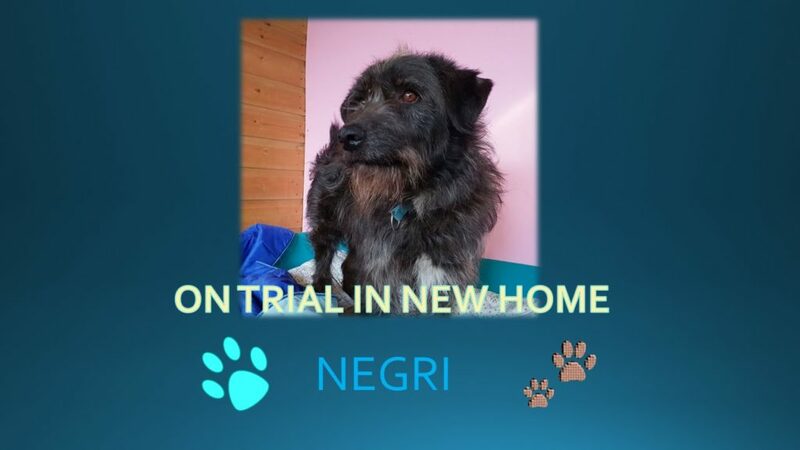 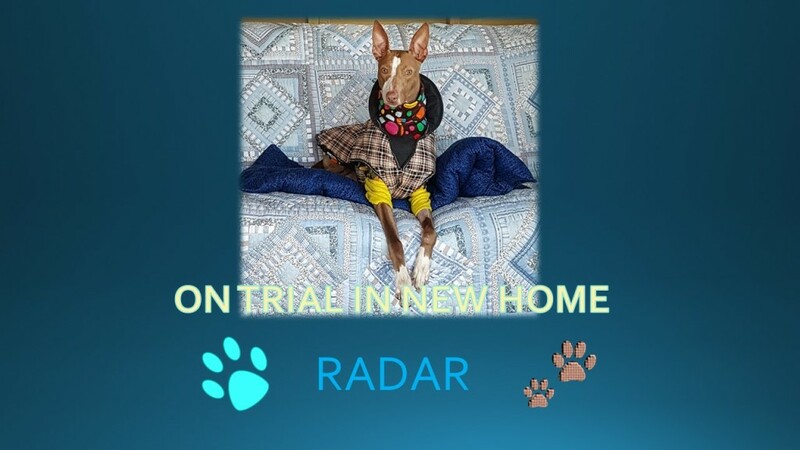 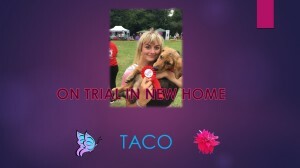 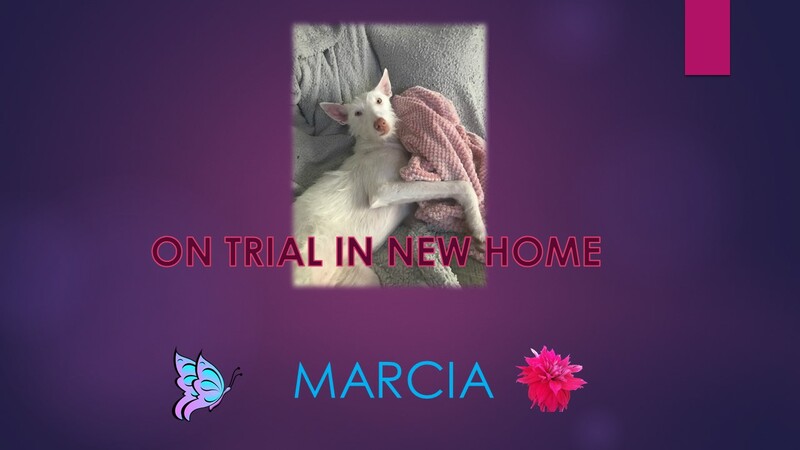 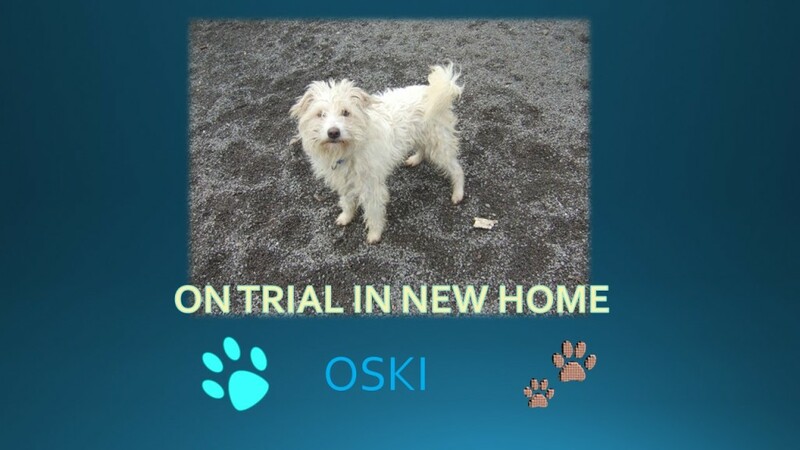 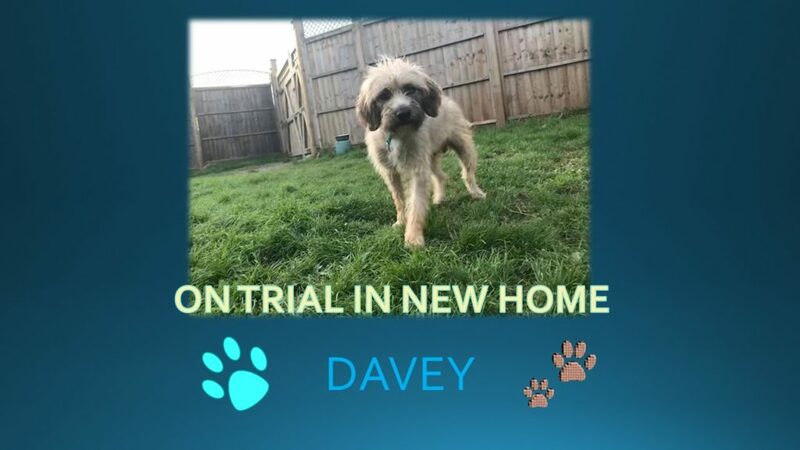 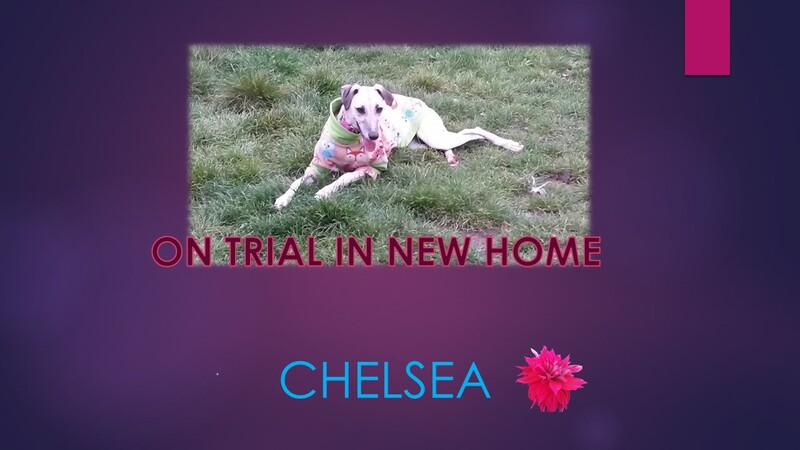 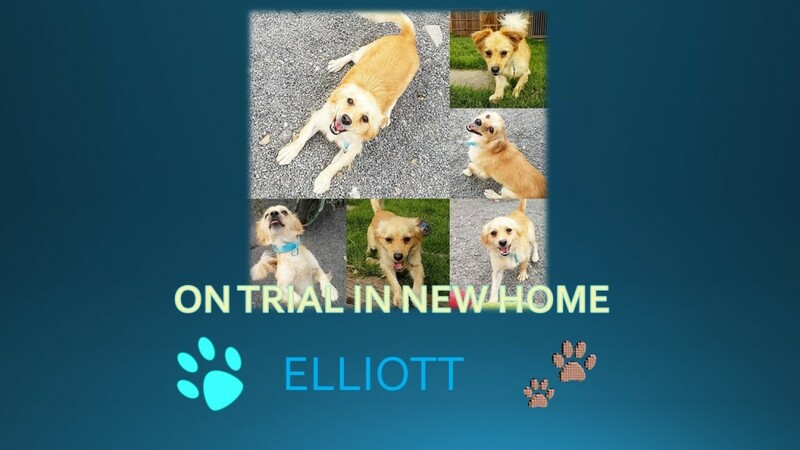 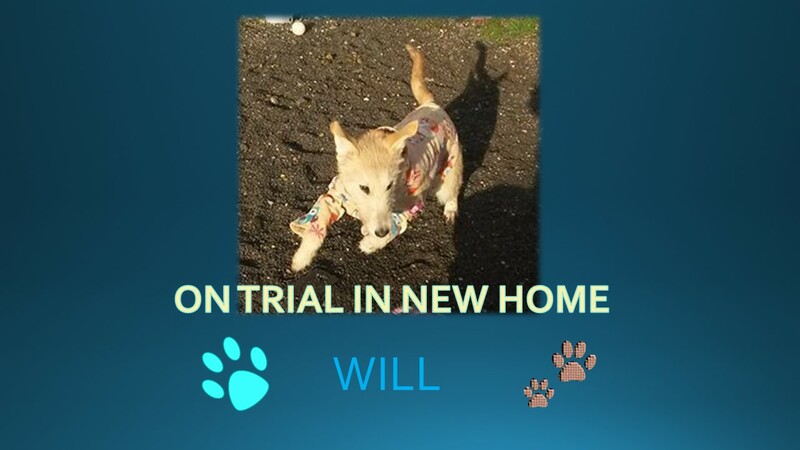 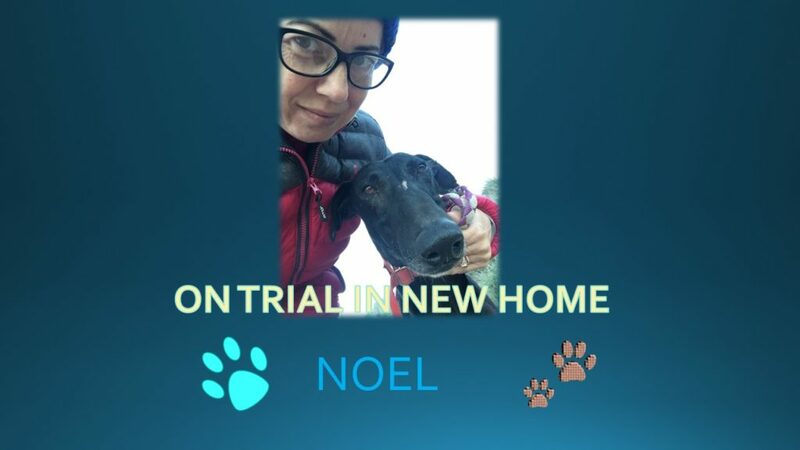 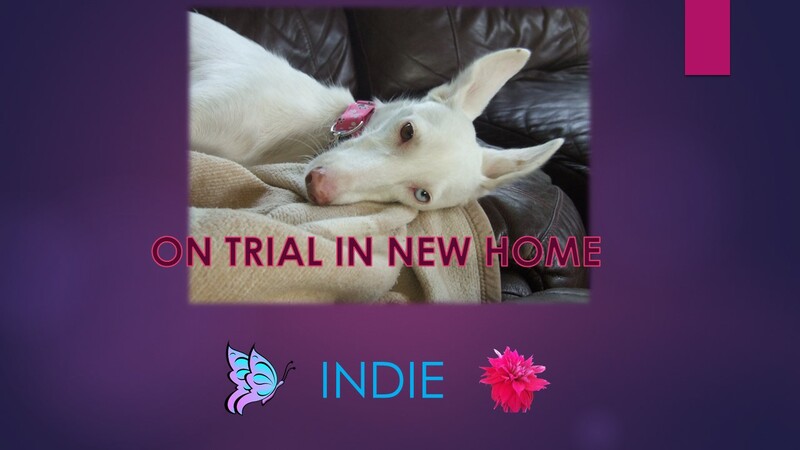 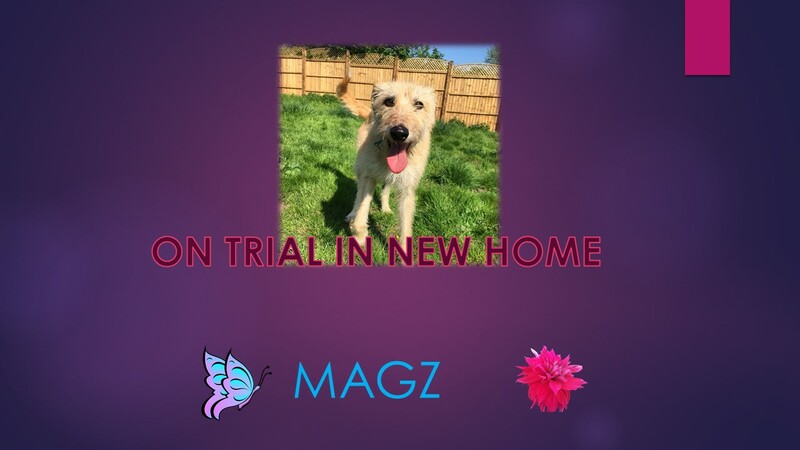 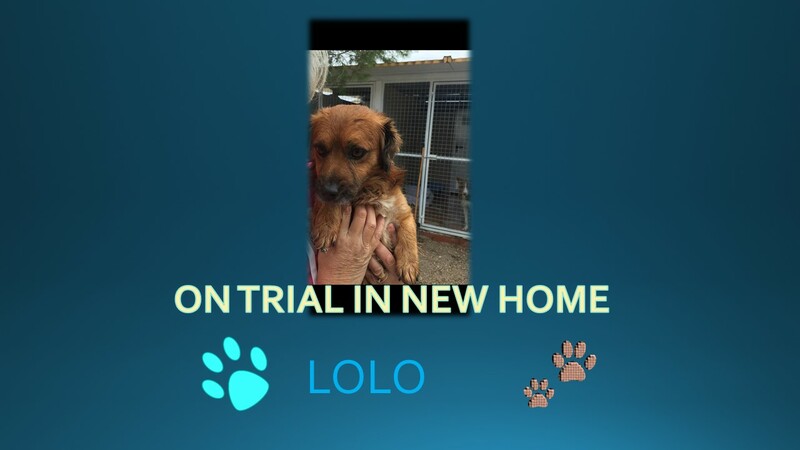 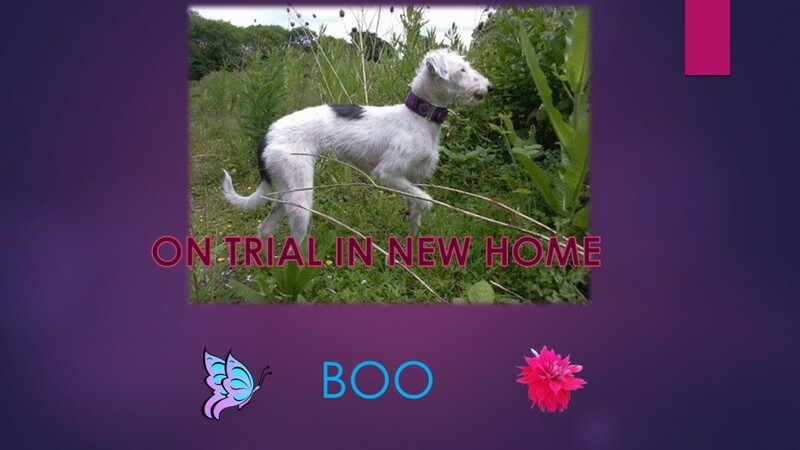 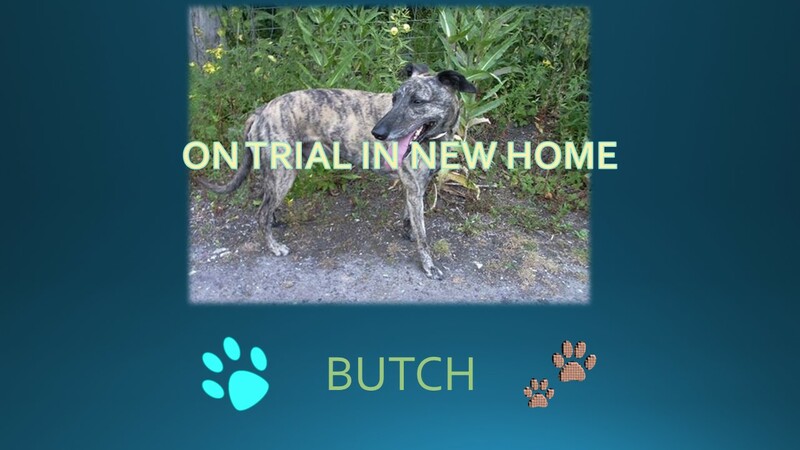 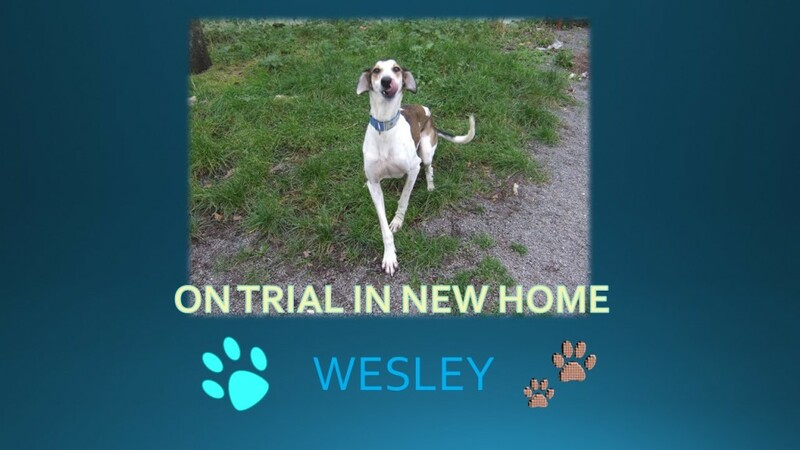 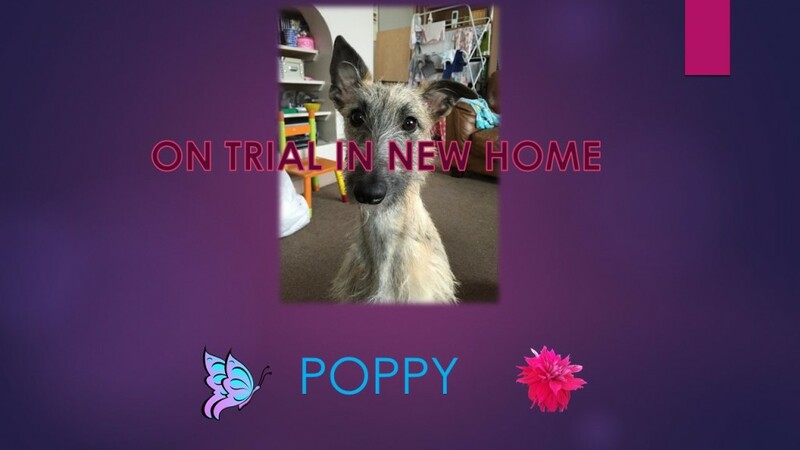 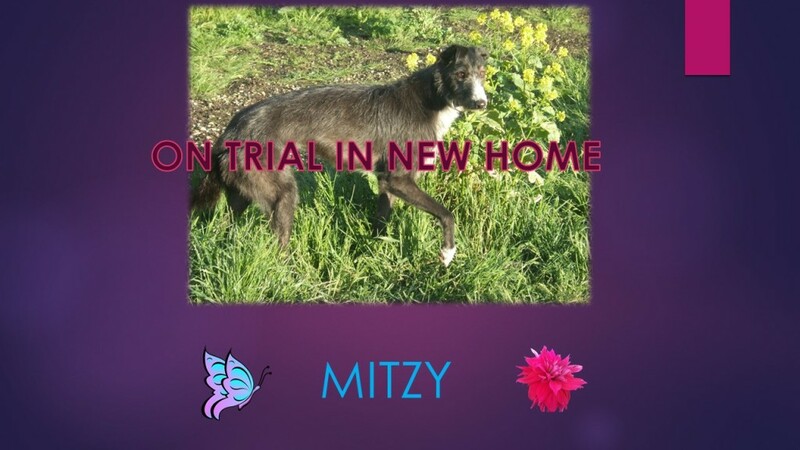 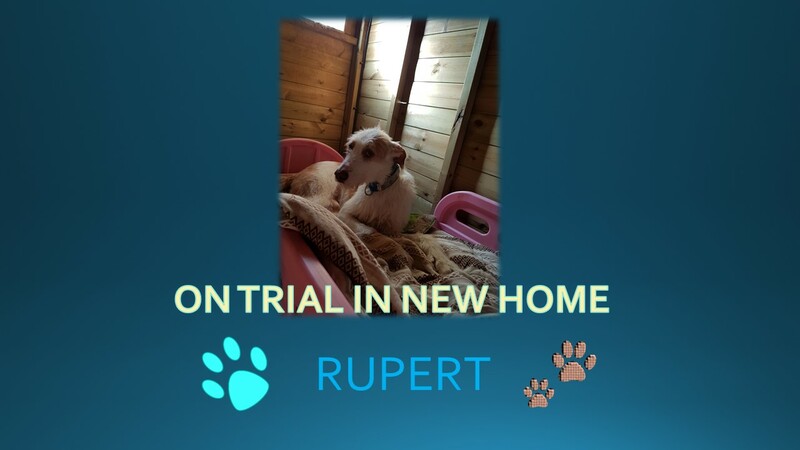 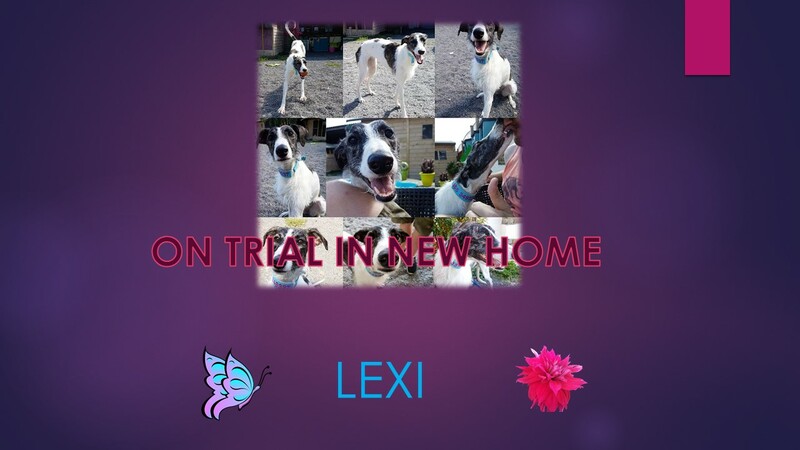 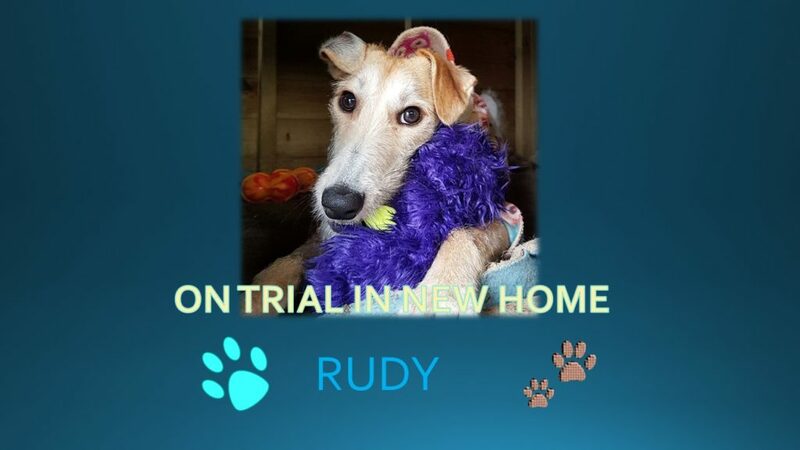 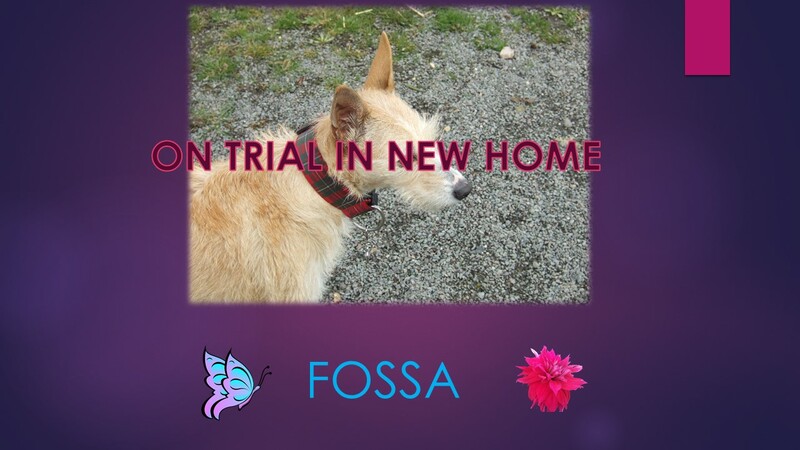 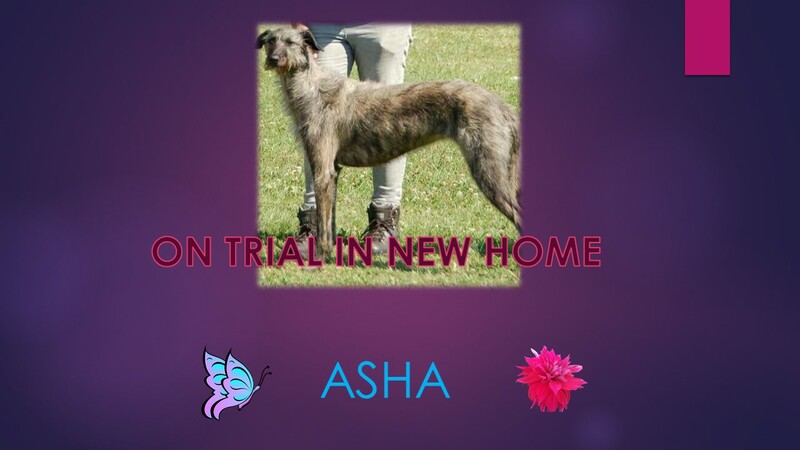 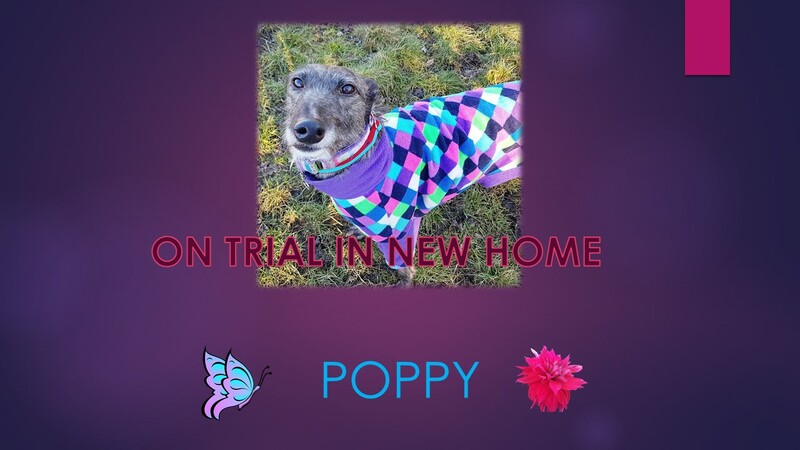 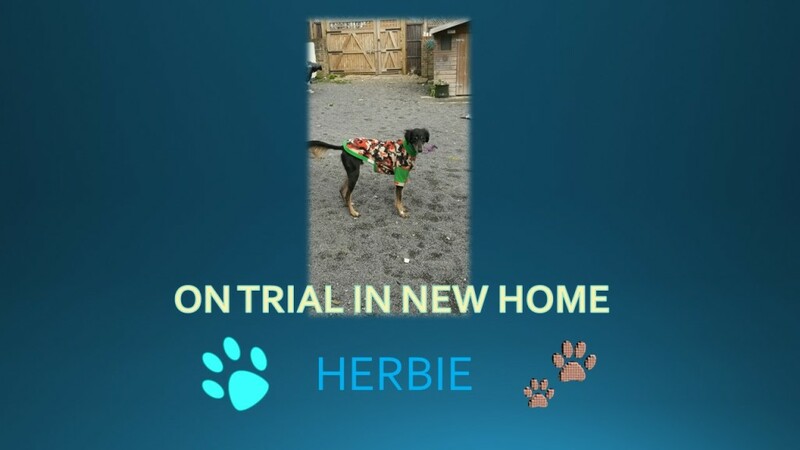 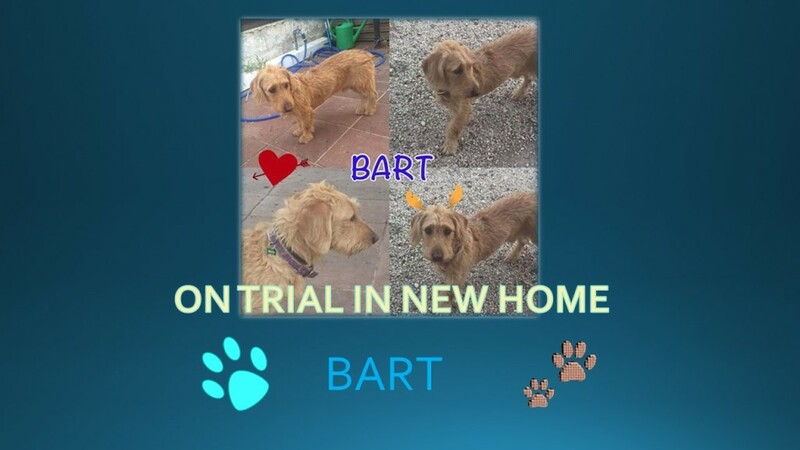 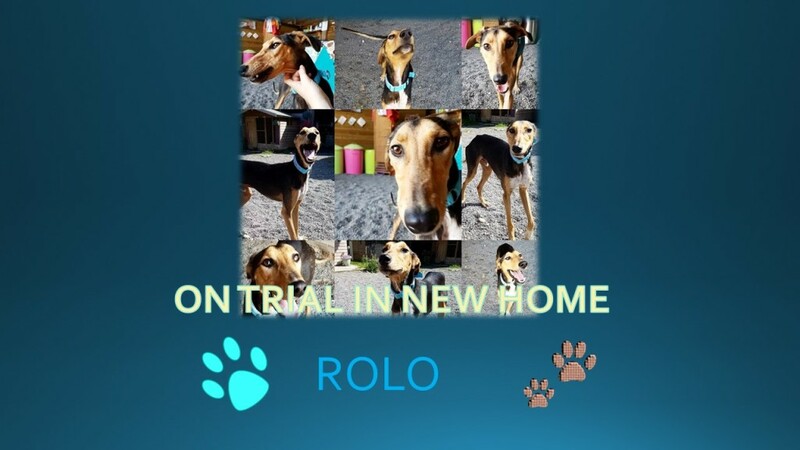 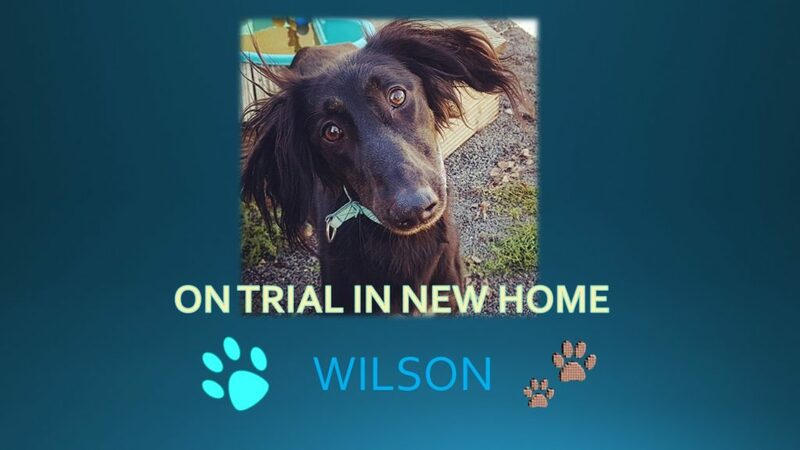 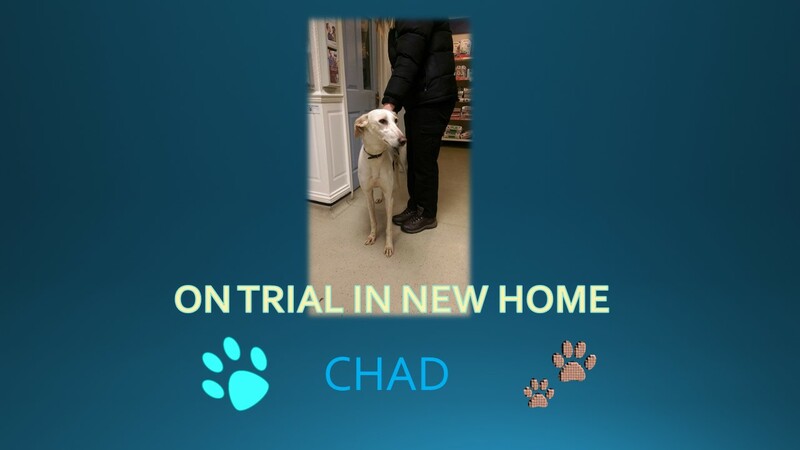 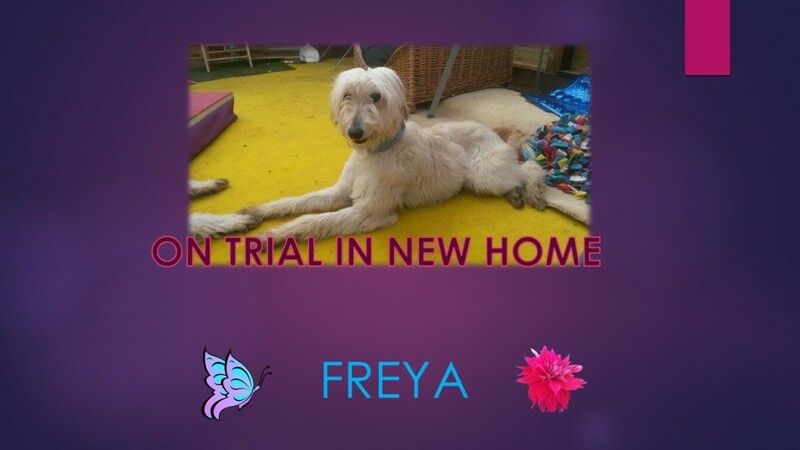 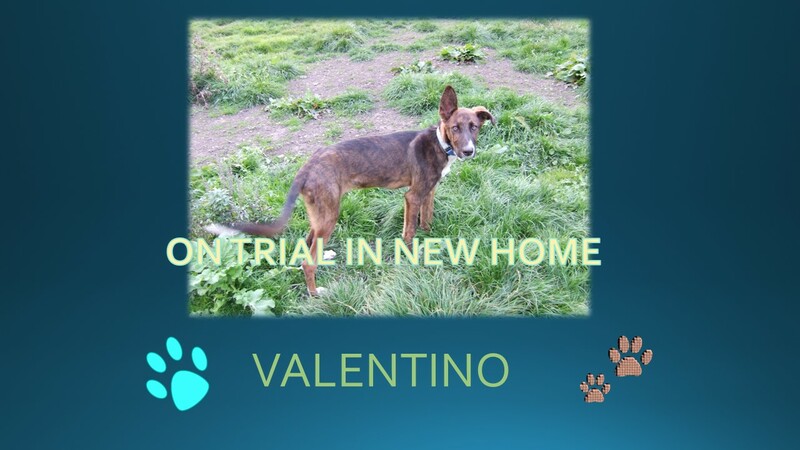 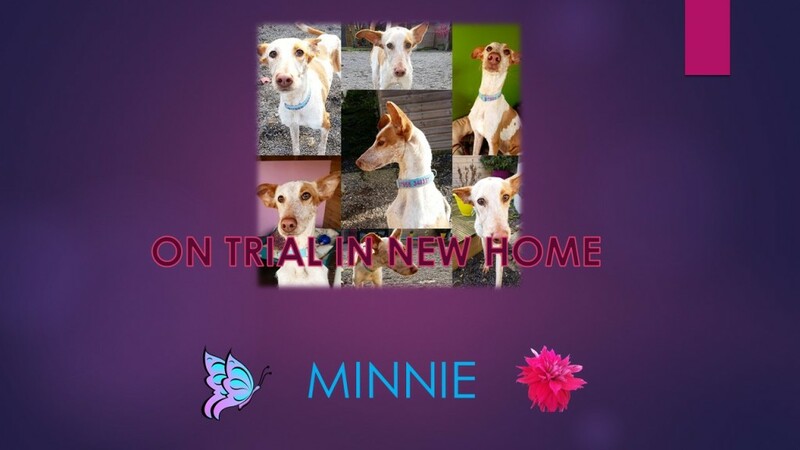 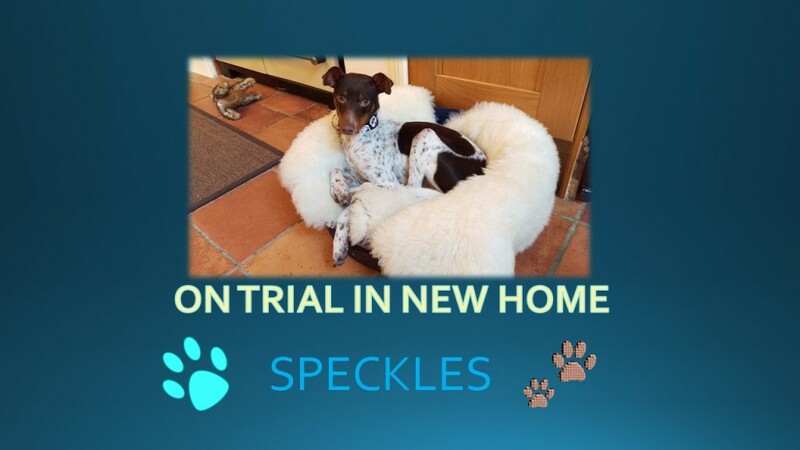 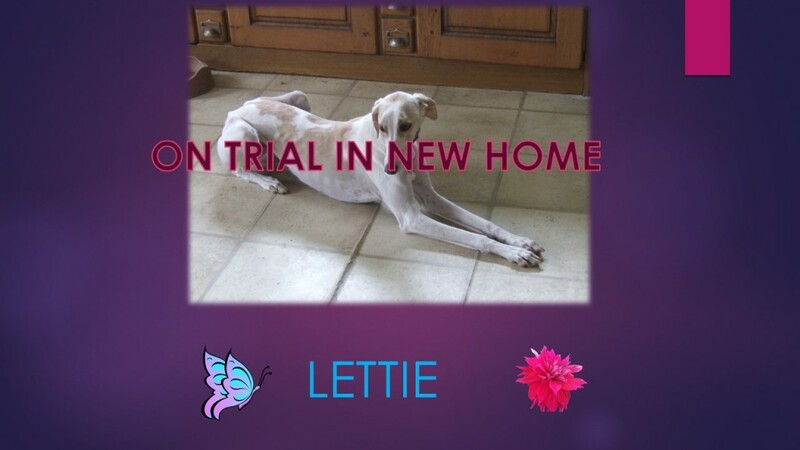 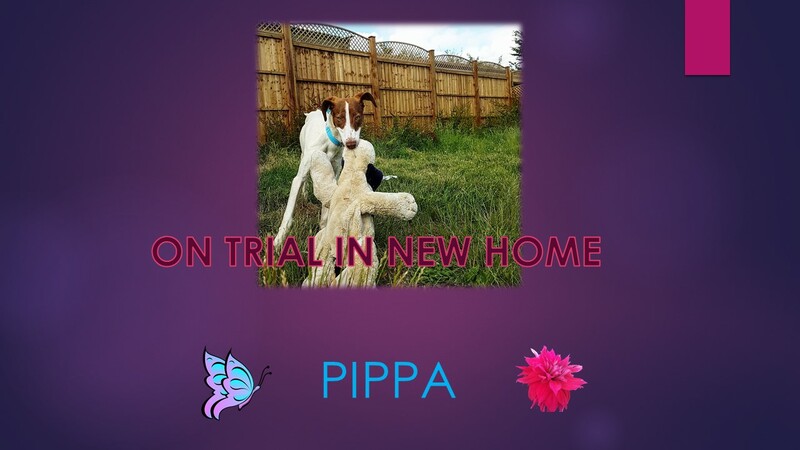 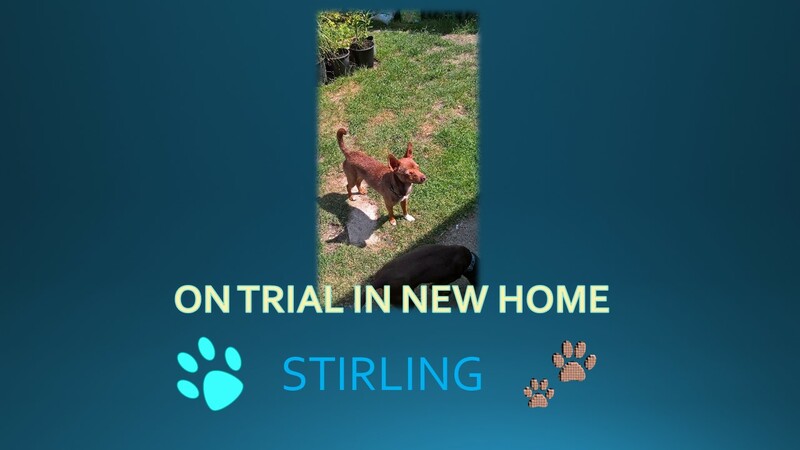 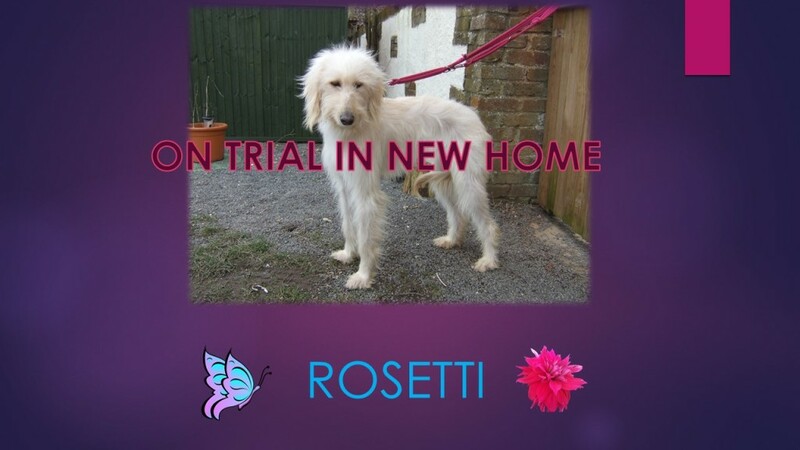 Very occasionally the trial does not work out for whatever reason and the dog will come back, this will be mentioned on the description if this is the case….All dogs still requiring homes are up the top . 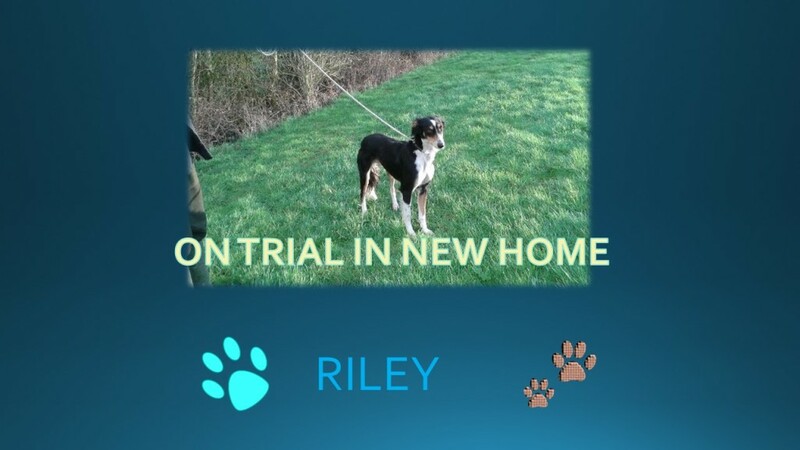 PLEASE LOOK FOR THE PHOTO ON THE HOMEPAGE REGARDING FACEBOOK AND CLICK ON THE LINK TO SEE FOOTAGE OF ALL THESE DOGS…Footage will be found on left hand side under videos. 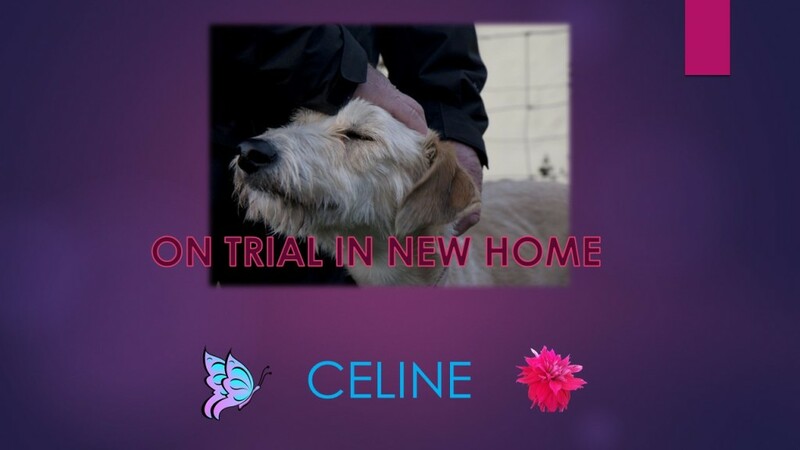 Happy watching !! 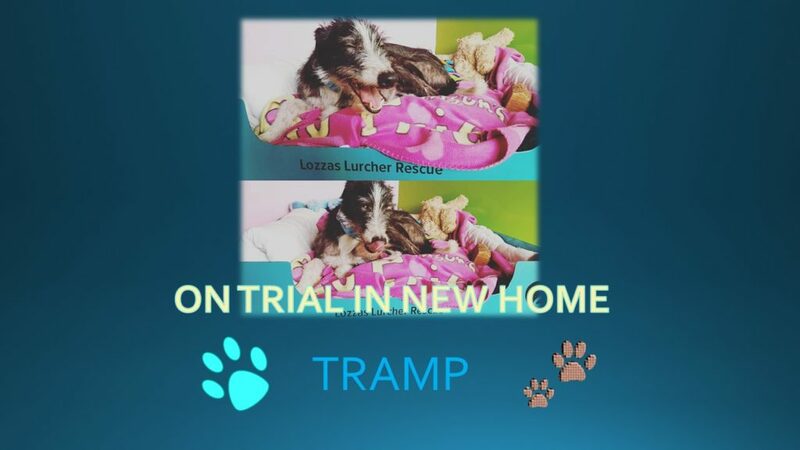 IMPORTANT NOTICE….Please note after the intake listed below there will be no more new intake into the rescue for the time being. 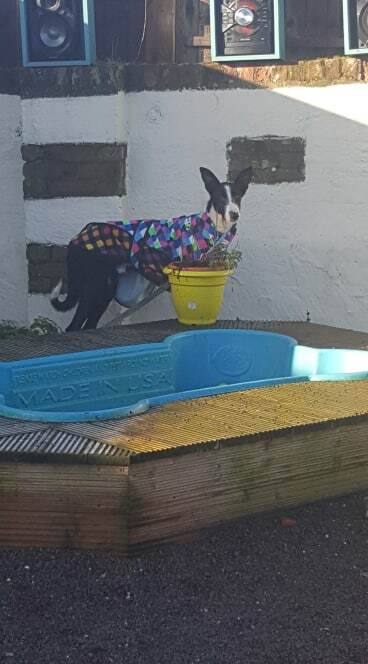 Urgent building work is required to be done due to an enforcement notice being served by WH Council. 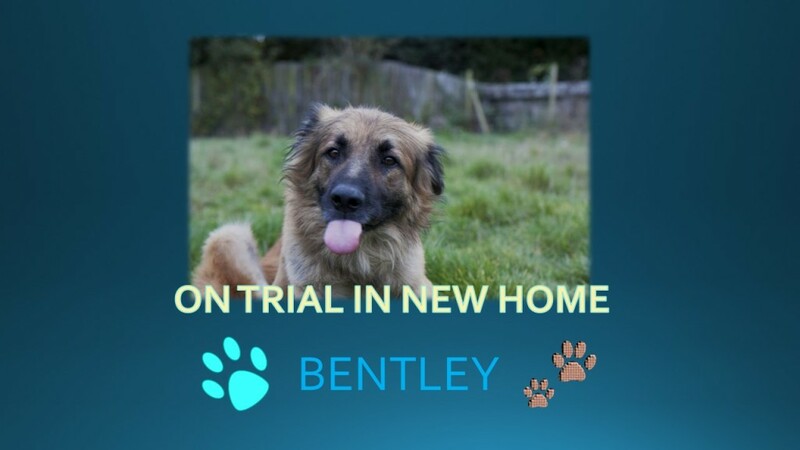 This will mean the kennel block has to be moved temporarily. 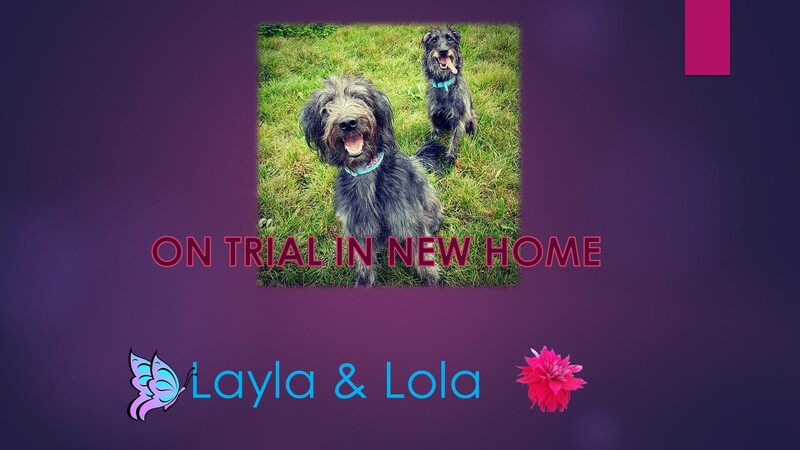 At any point, we can only have two dogs in which will be housed off site . Once building work has finished, the rescue can return too normal. 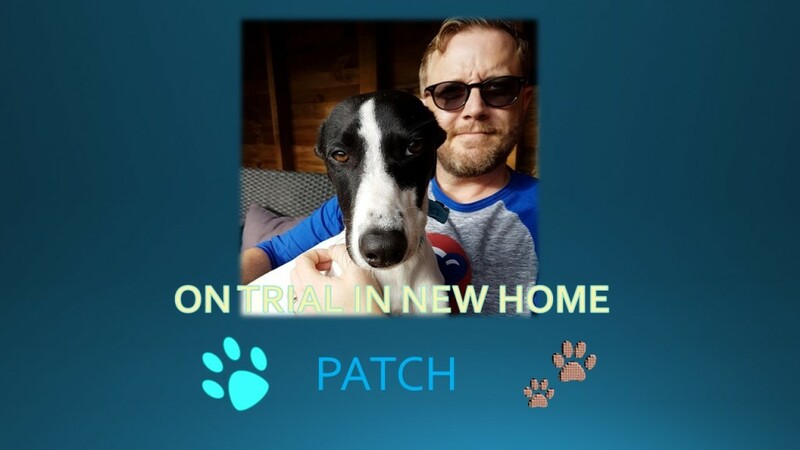 Thank you for your support and patience in this matter. 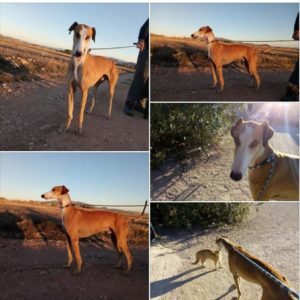 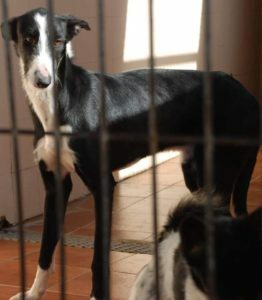 DOGS ALREADY AT THE RESCUE AWAITING HOMES…. 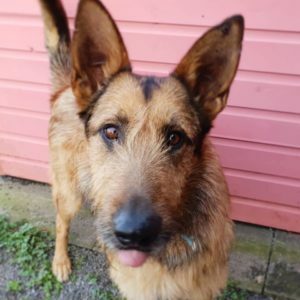 Mogway is a GSD x and is big bouncy and full of beans. 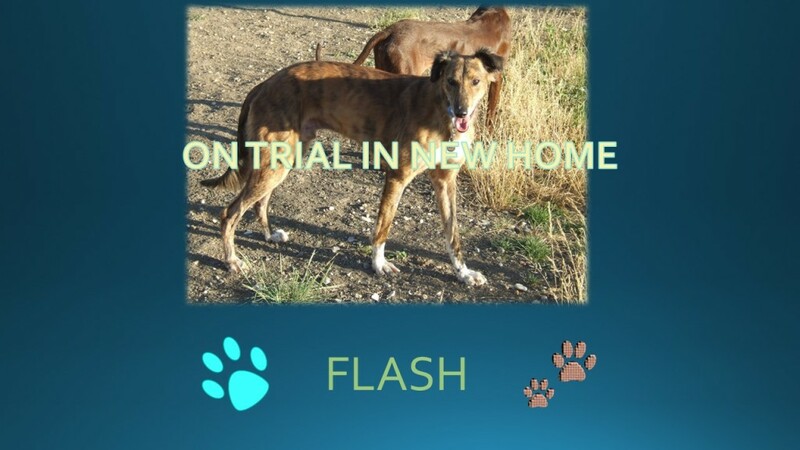 Could do with some training and a confident owner. 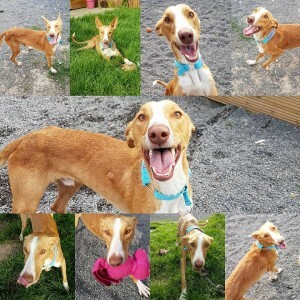 Loves people and gets on fine with other dogs. Lovely temperament, great boy, super intelligent ! …CAN YOU OFFER HIM A FOREVER SOFA ? 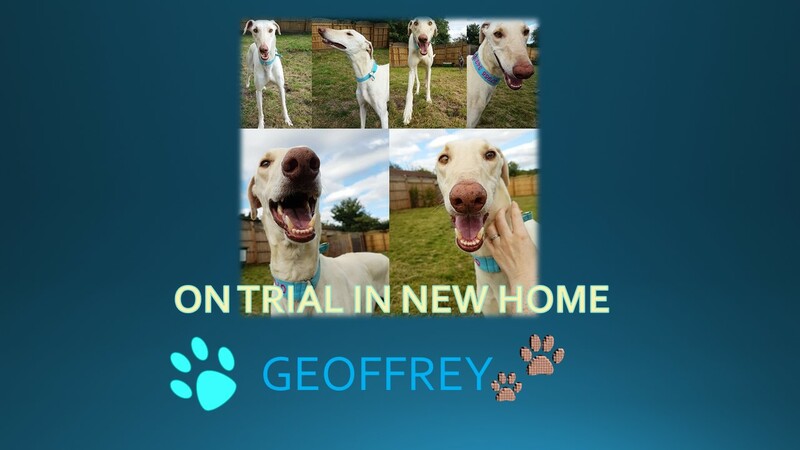 Meet HAPPY…look at that pointy nose ! This is the very handsome soft natured Happy. 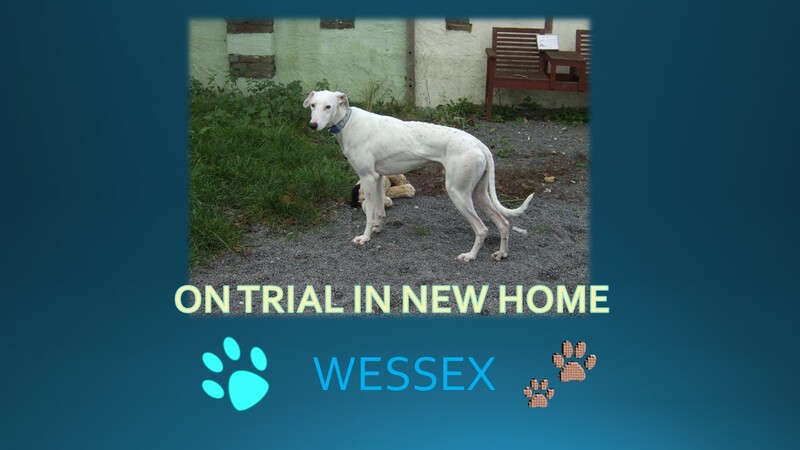 He is cat friendly, saved from a hunter and gets on great with other dogs and loves his cuddles (he is a right leaner ! 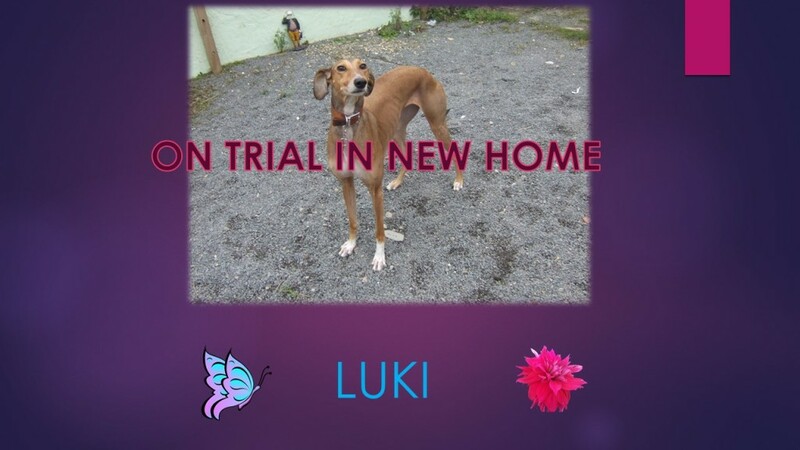 lol) CAN YOU OFFER HIM A FOREVER HOME ? 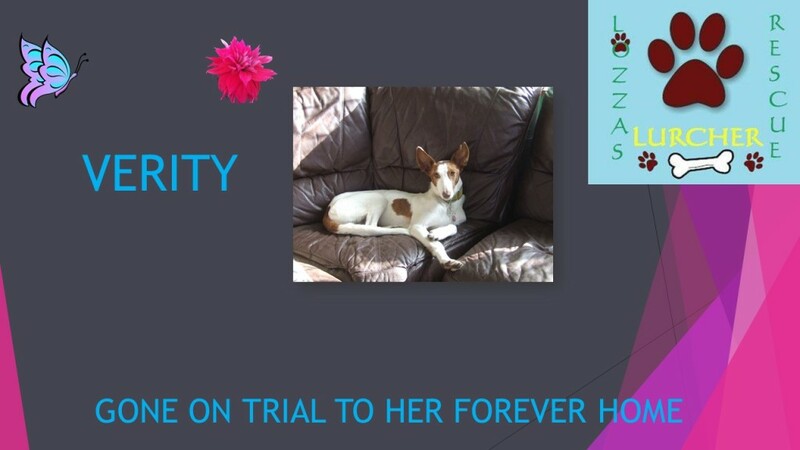 This is Zara, she has a fab temperament, gets on well with other dogs and people and is great fun. 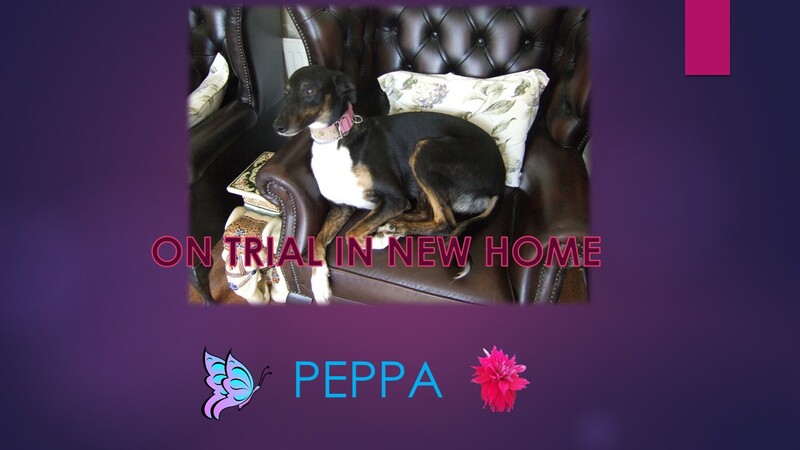 CAN YOU OFFER HER A FOREVER SOFA ? 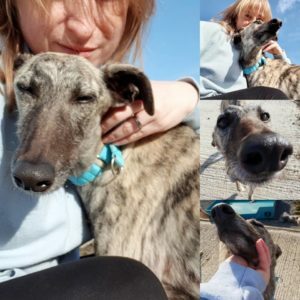 This is Bridgette, lovely girlie, likes people although bit handshy at first and gets on fine with other dogs….CAN YOU OFFER HER A FOREVER SOFA? 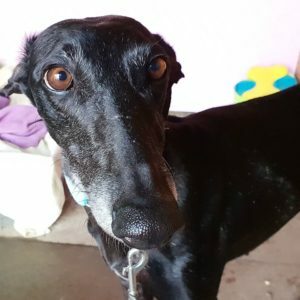 Please meet the stunning Guinness. 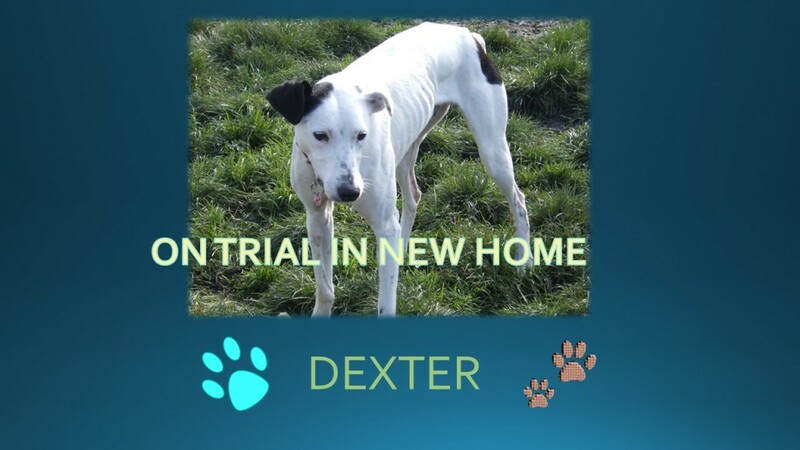 God only knows what has happened to this sad boy but he is very nervous and has never experienced love or kindness until he came into the rescue. 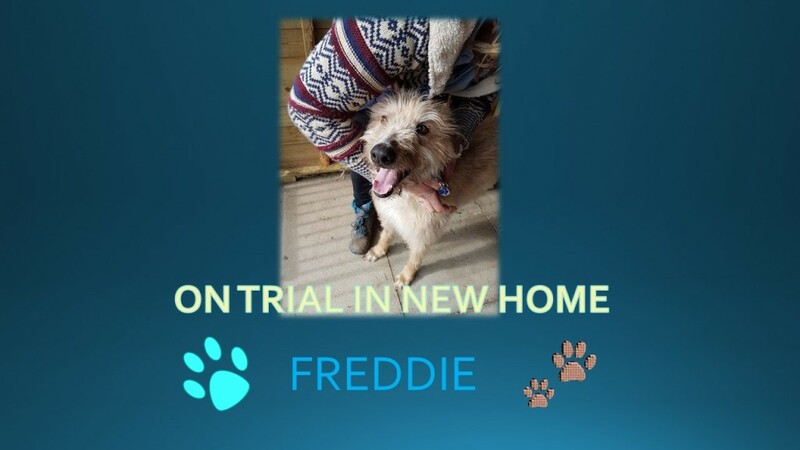 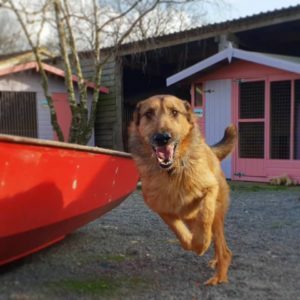 He will need to go to an experienced home with at least one other dog that has the patience, time and understanding to bring on a broken dog that needs to show him how being a dog can be wonderful, at the moment he is very lost. 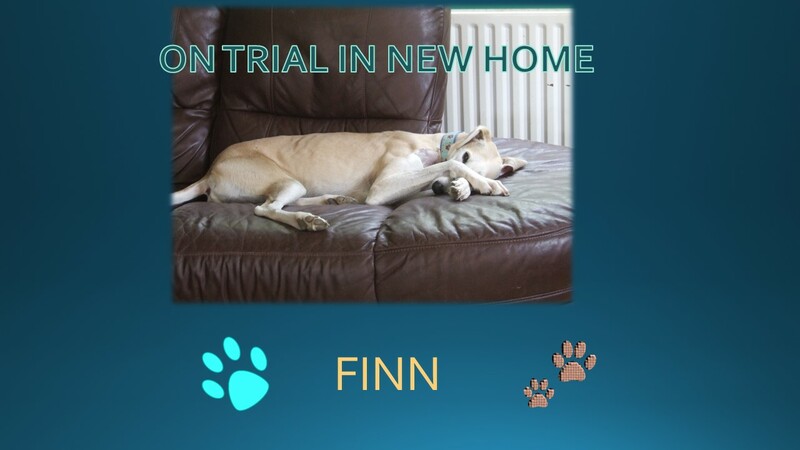 Are you that special family able to offer him a forever sofa ? Tommy is totally gorgeous and just loves people. 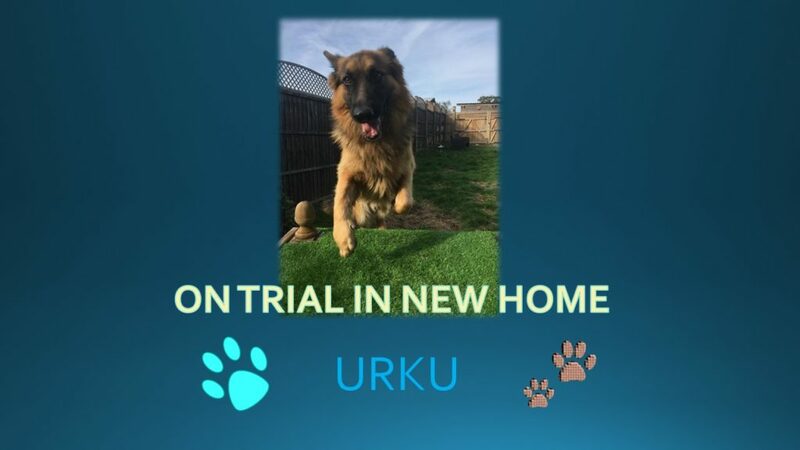 Just gone into foster to bring him on..He is great with other dogs and needs an active home that can channel his enthusiasm for life… Will need to go to an experienced home. 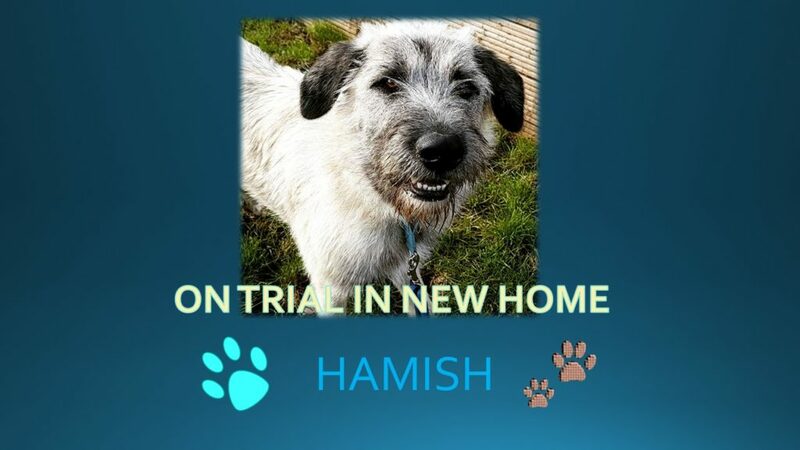 CAN YOU OFFER HIM A FOREVER HOME ? 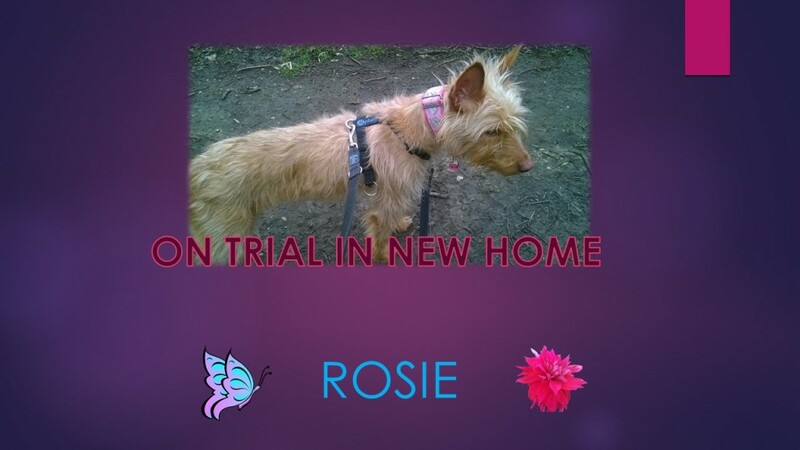 Rosie’s foster placement has come to an end. 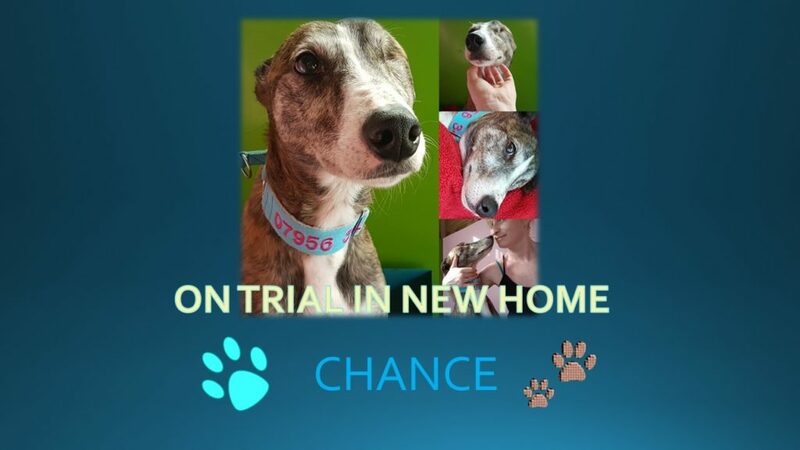 She is very cheeky and has a great personality. 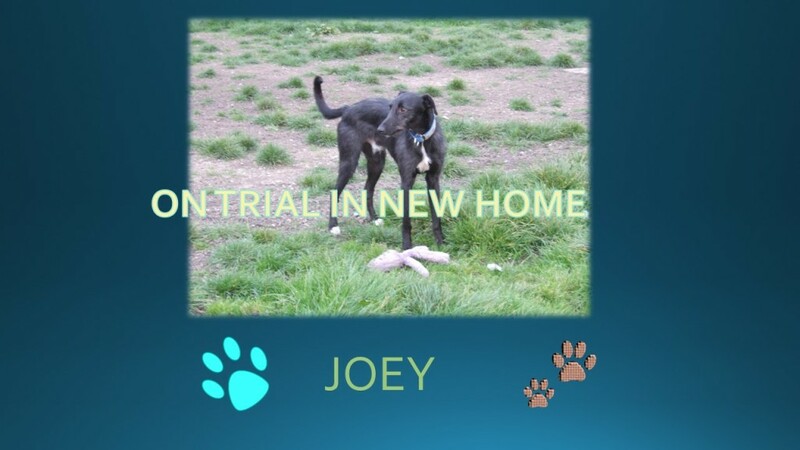 Gets on great with other dogs, once introduced properly but can be overbearing with very certain small dogs. 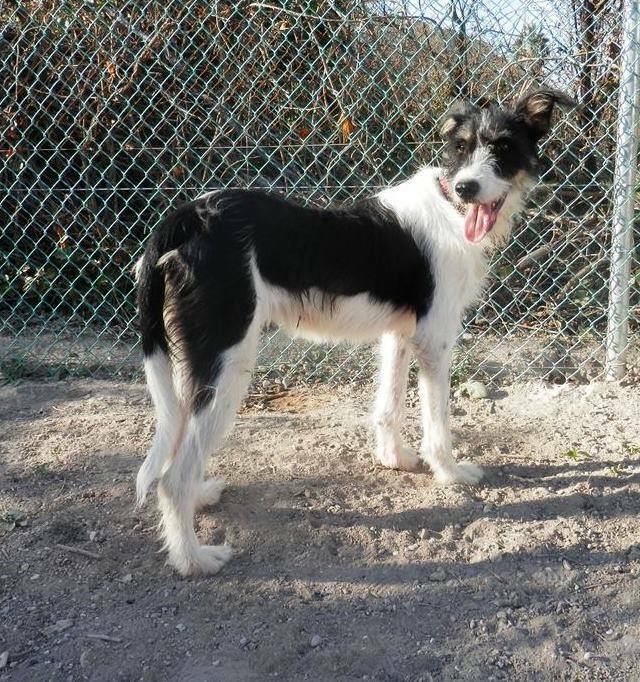 Can be lead reactive with certain dogs. 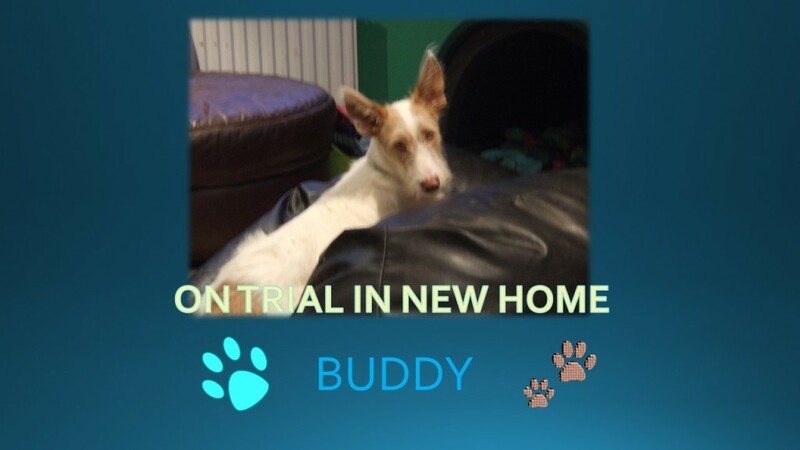 Good with people but can be a bit aloof at first with some strangers . 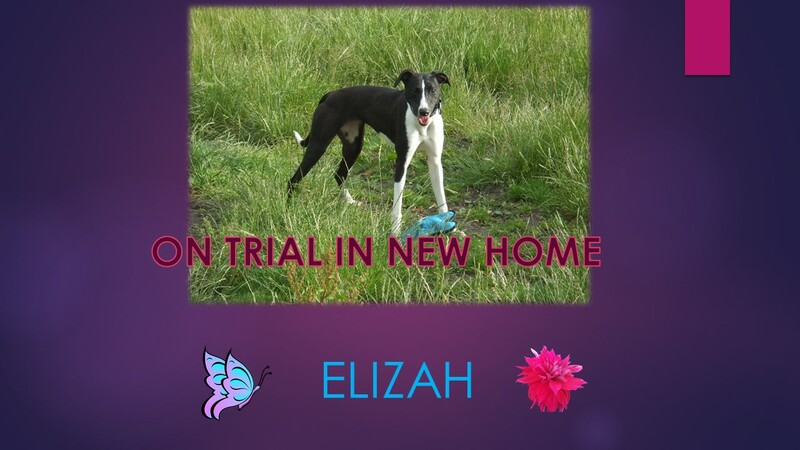 CAN YOU OFFER HER A FOREVER HOME ? 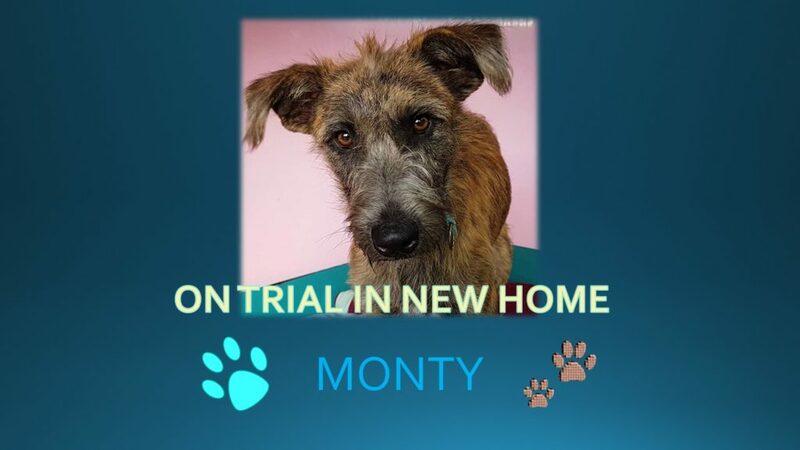 DOGS GONE ON TRIAL TO THEIR NEW HOMES..
Meet MONTY…OH WHAT A GORGEOUS PUP !! 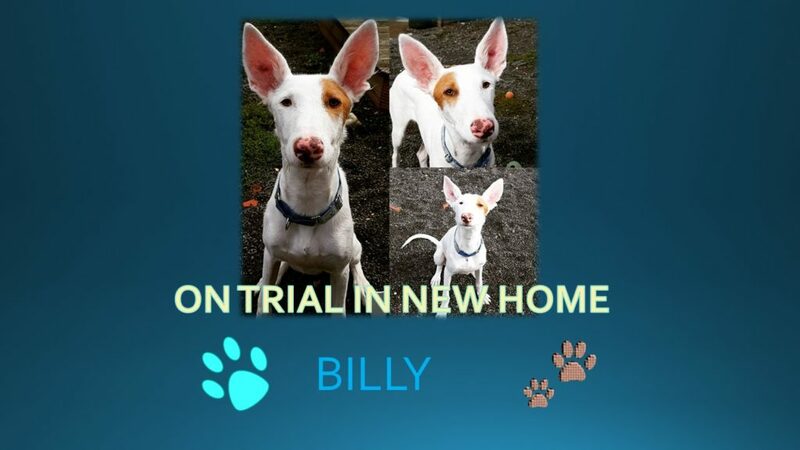 Meet BILLY…A wonderful Pupster ! 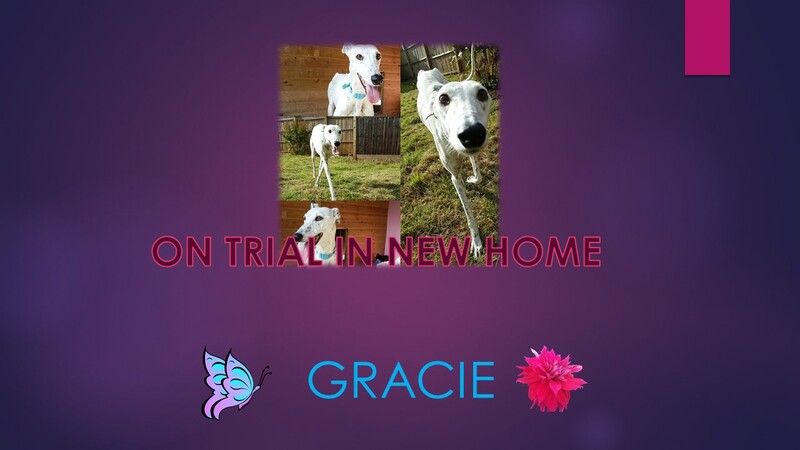 Meet Gracie – such a beaut ! Meet GEOFFREY – A handsome cream soda ! 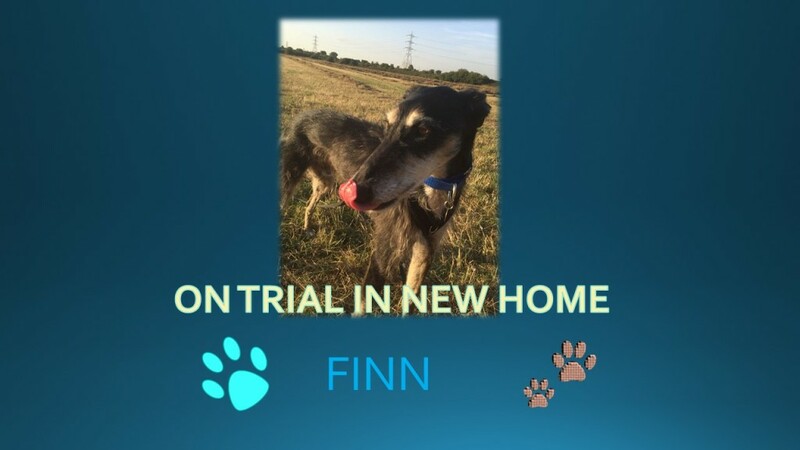 Meet FINN – WOW what a gent !! 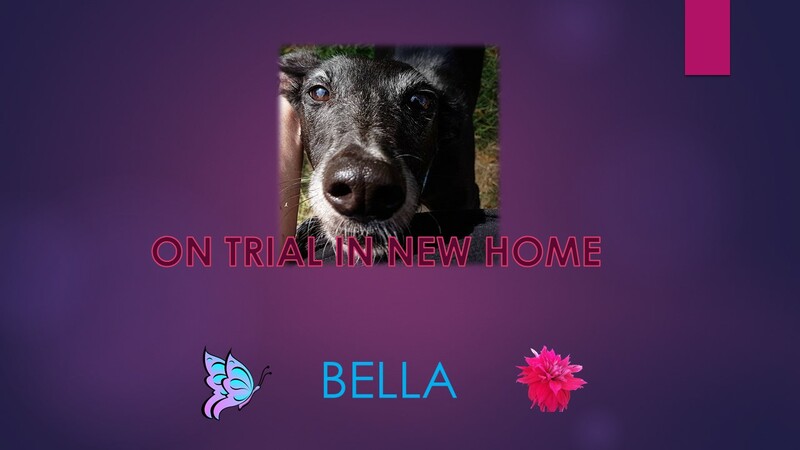 Meet BELLA….A black beauty !! 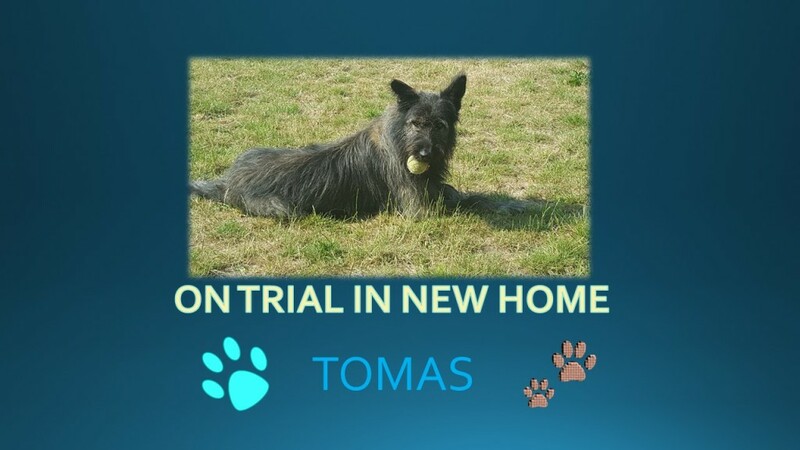 Meet TOMAS – WOWSER !! 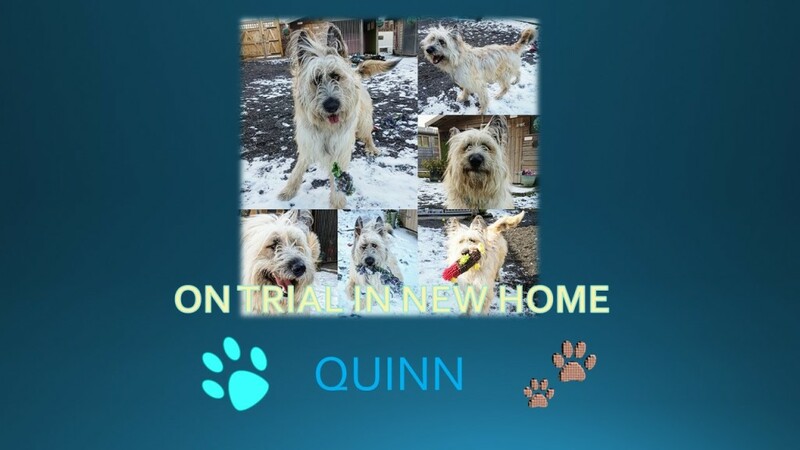 Meet QUINN – WOW !!! Meet MINNIE – A year old and beautiful !! 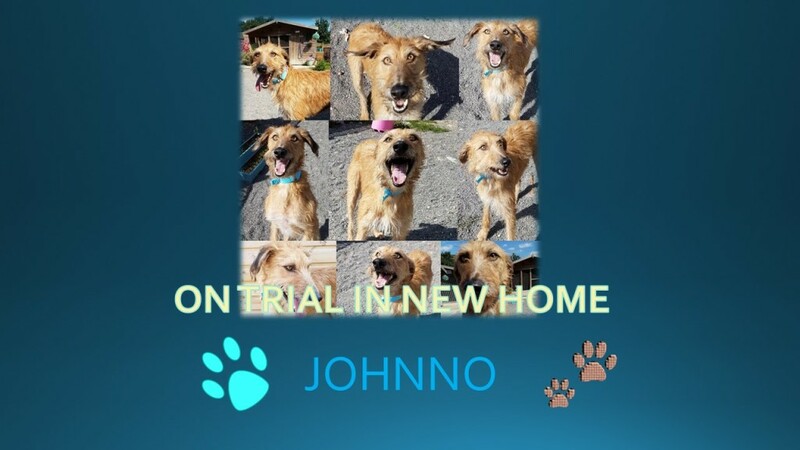 Meet JOHNO..Look at those eyes ! Meet DOLLY – A beaut ! 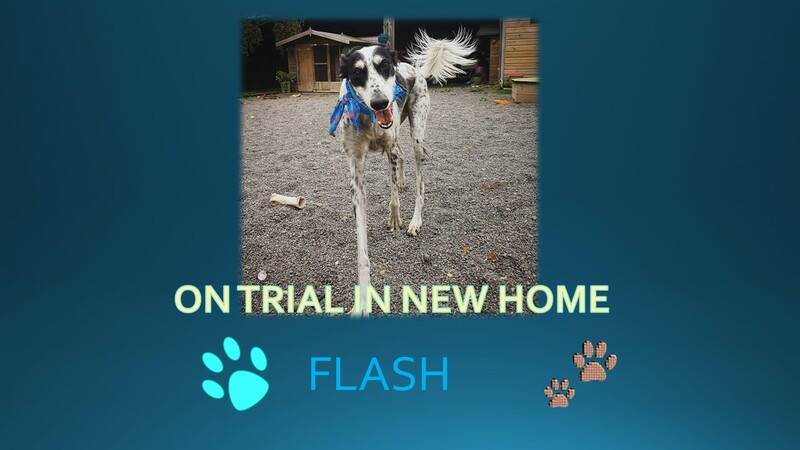 Meet FLASH – A handsome boy indeed ! 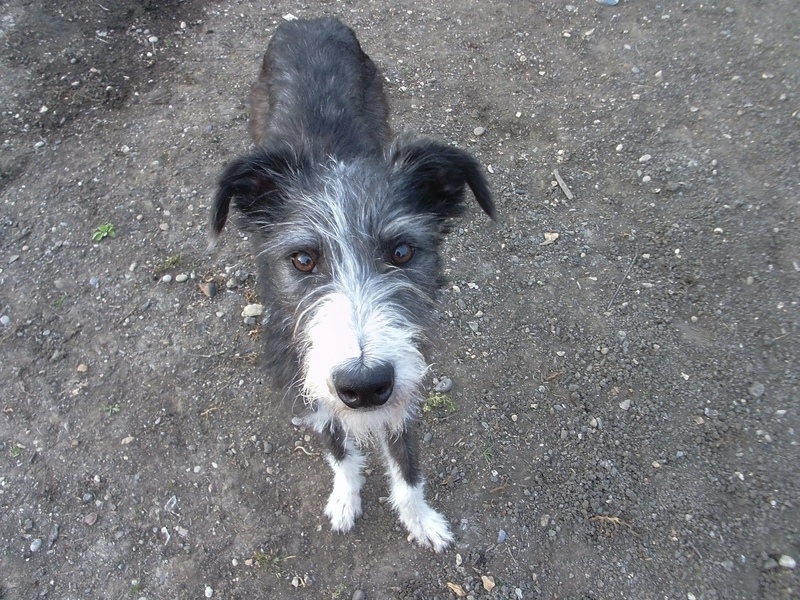 Meet PATCH..A gorgeous wee boy ! 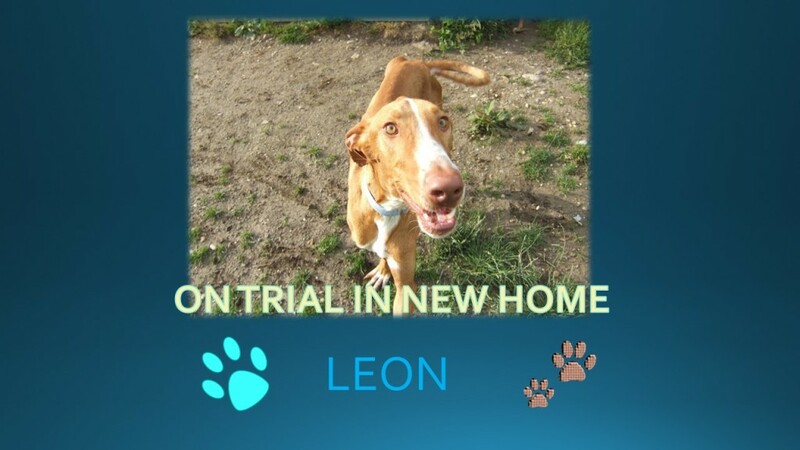 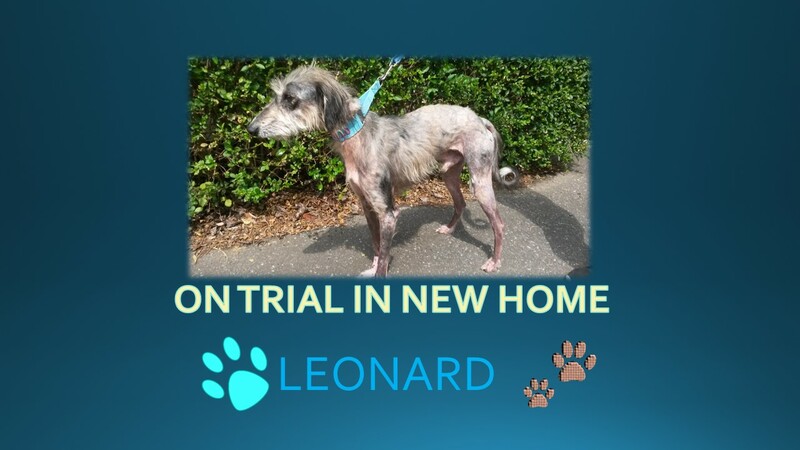 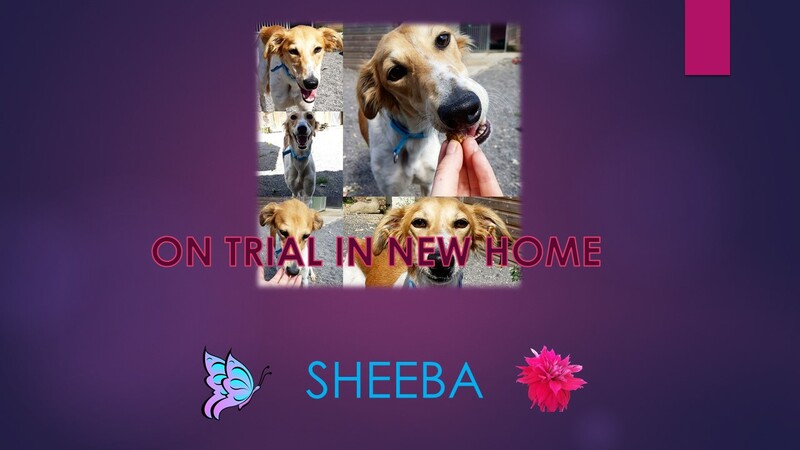 Meet SHEBA – Timid girlie..
Meet LEONARD…A very sad case…. 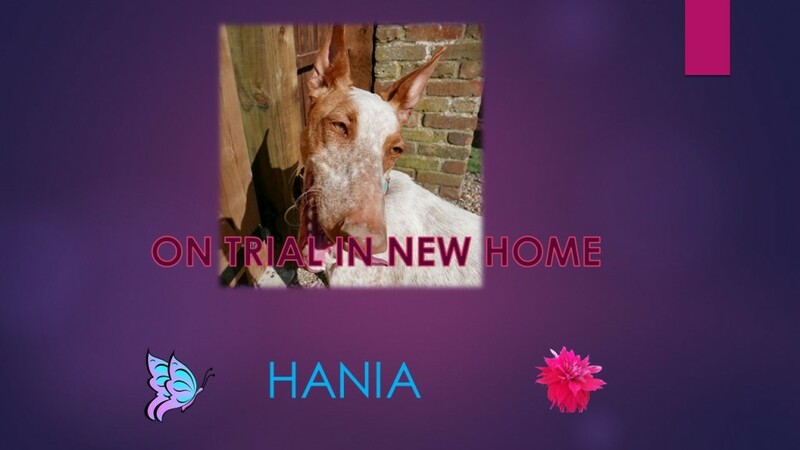 Meet HANIA – BOUNCY !! 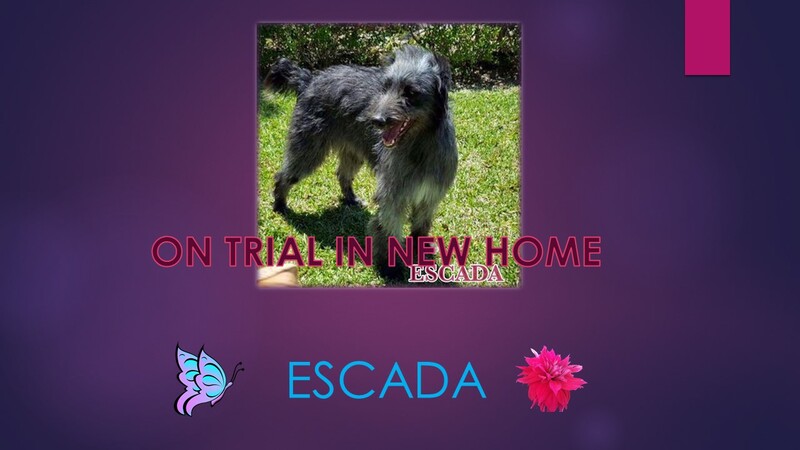 Meet ESCADA …A total beaut ! 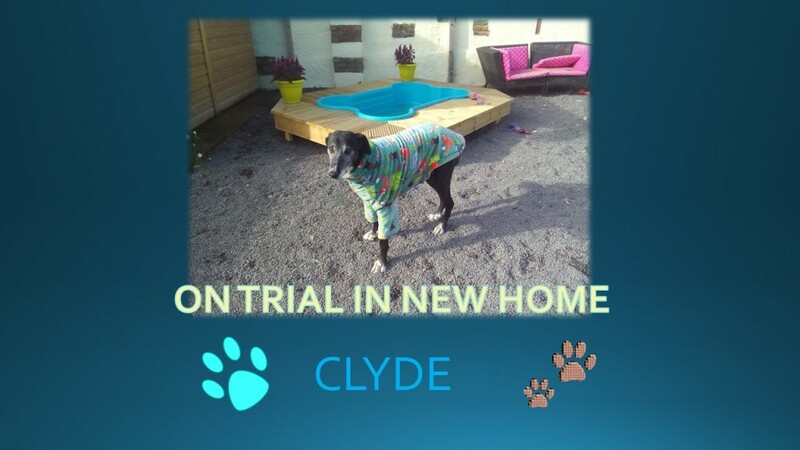 Meet CLYDE…An honourary Lurcher ! 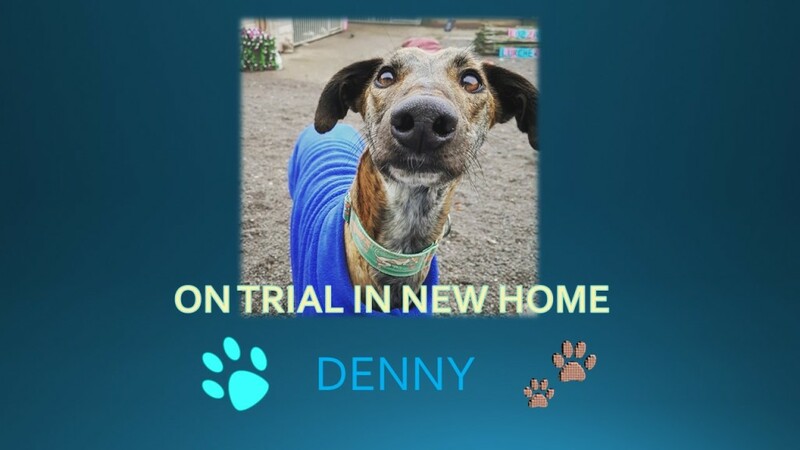 Meet DENNY….A gentle beaut !! Meet RADAR….A very handsome regal chappie ! 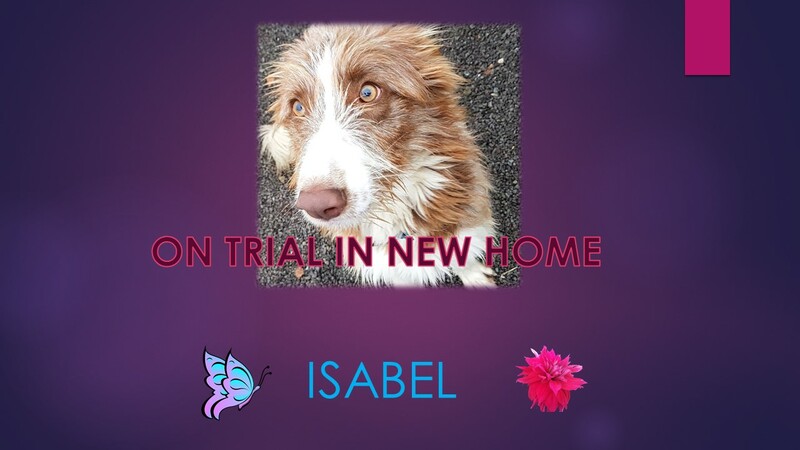 Meet ISABEL…A high energy bundle of fun ! 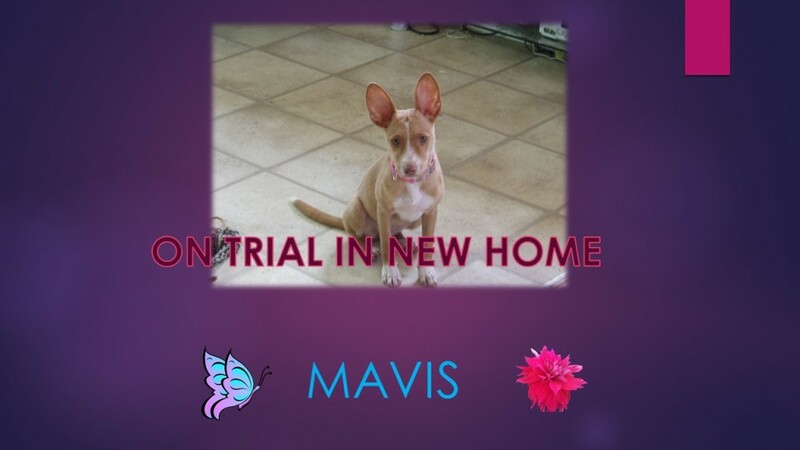 MEET MAVIS…YUMMY PUPPY 3 !! 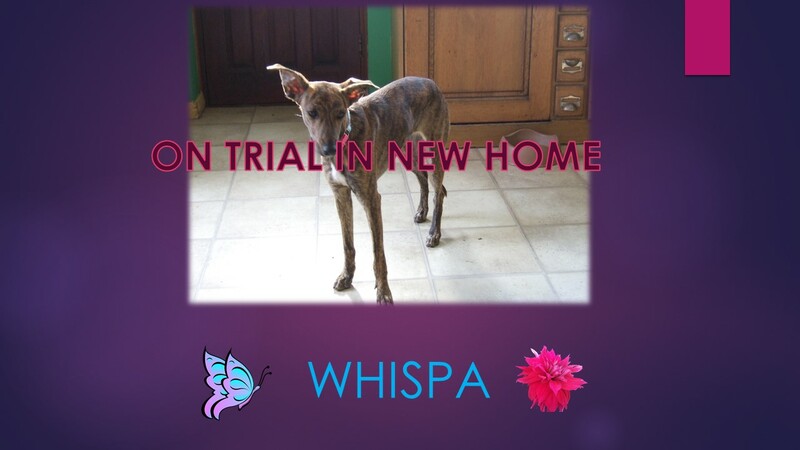 Meet CELINE….A hairy in the making..
Meet POPPY…One half of a brindle bombshell…. 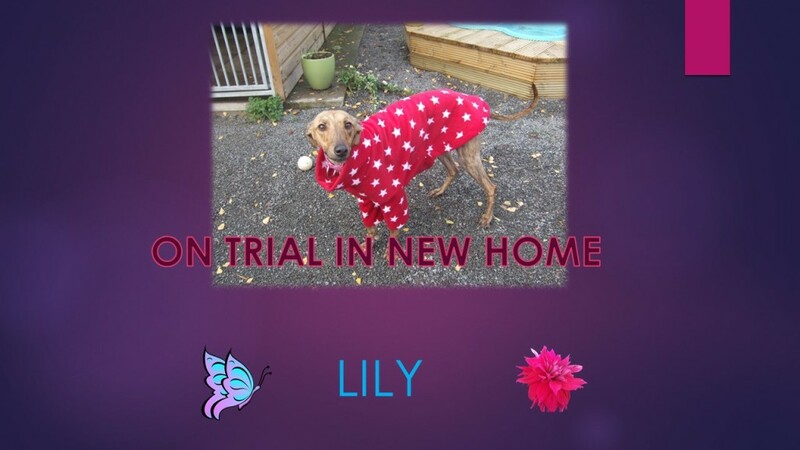 Meet LILY…The other half of a brindle bombshell…. 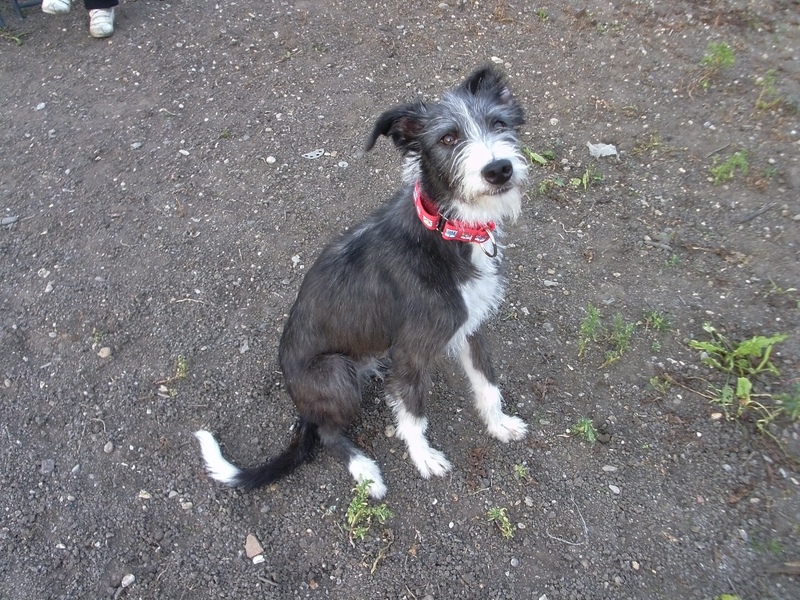 Lily , sisters with Poppy, came in as a private rehome due to a change of circumstances. 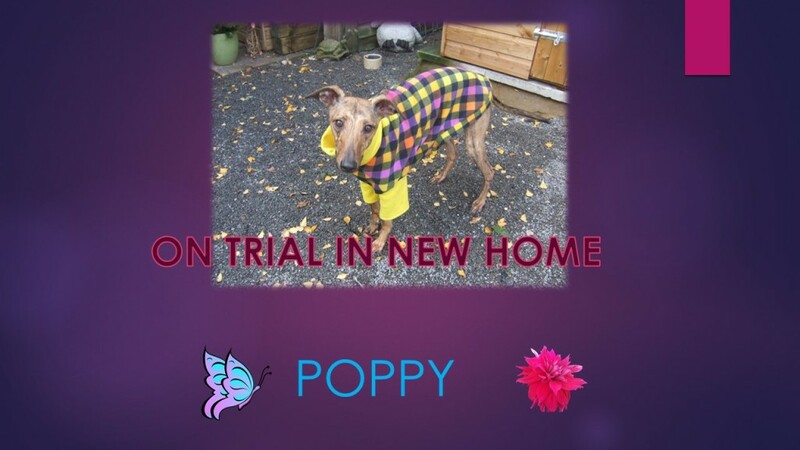 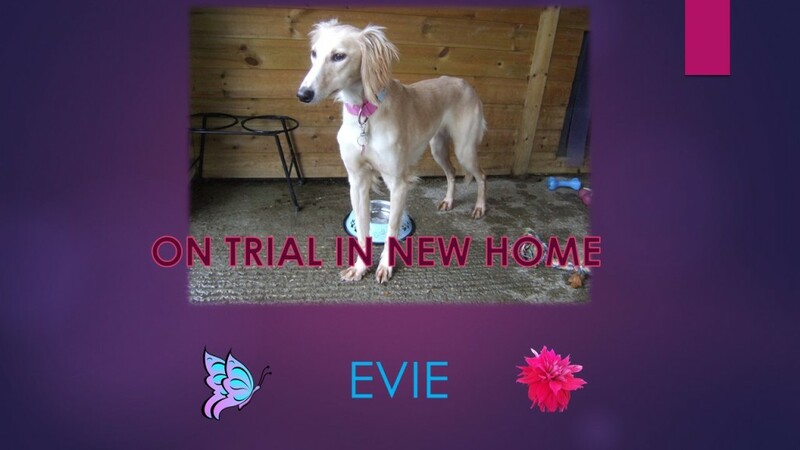 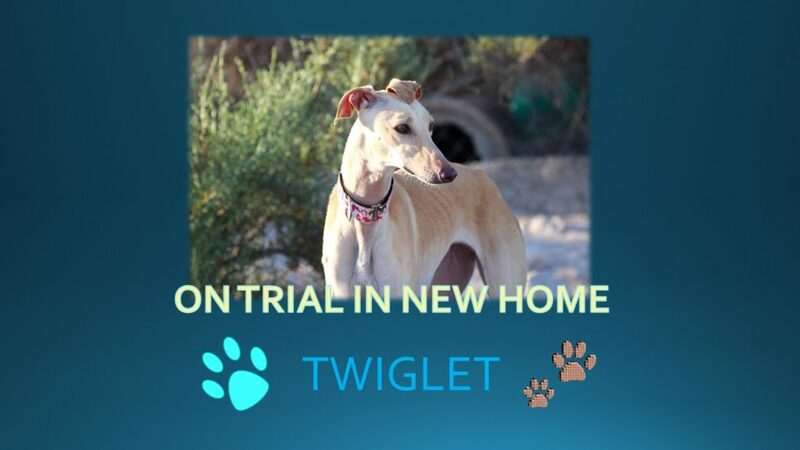 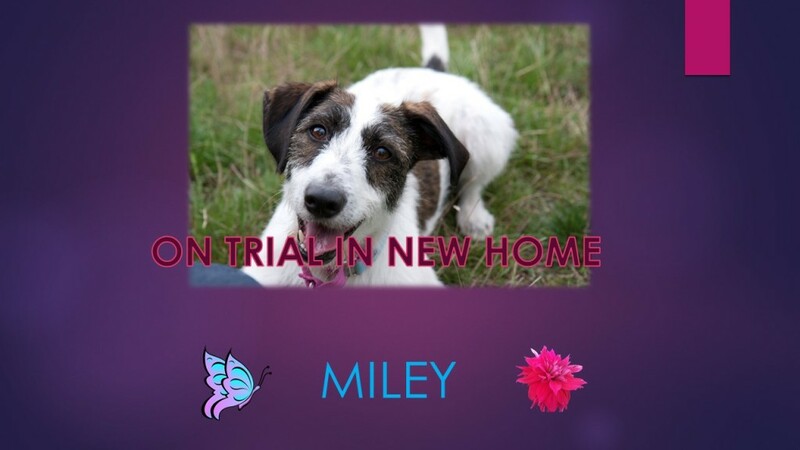 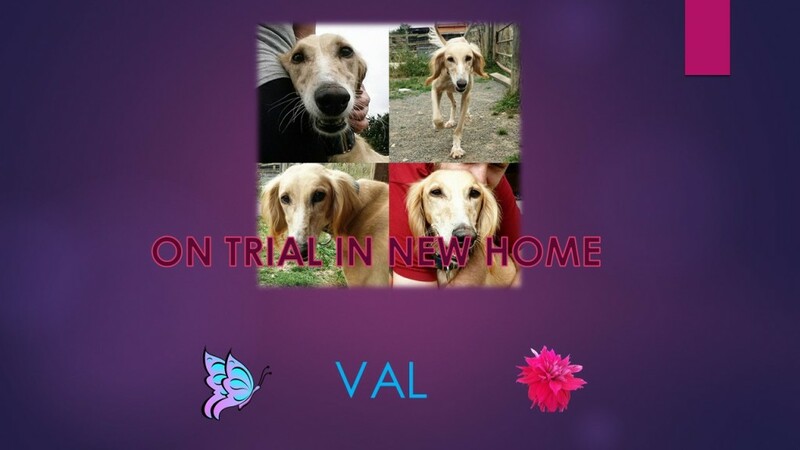 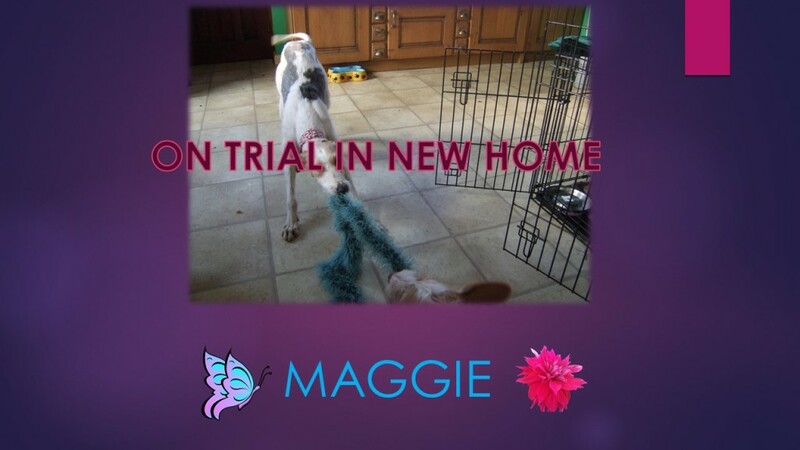 Lovely girlie, very talkative, recall good and a friendly girl with dogs and people… ON TRIAL DEC 2016? 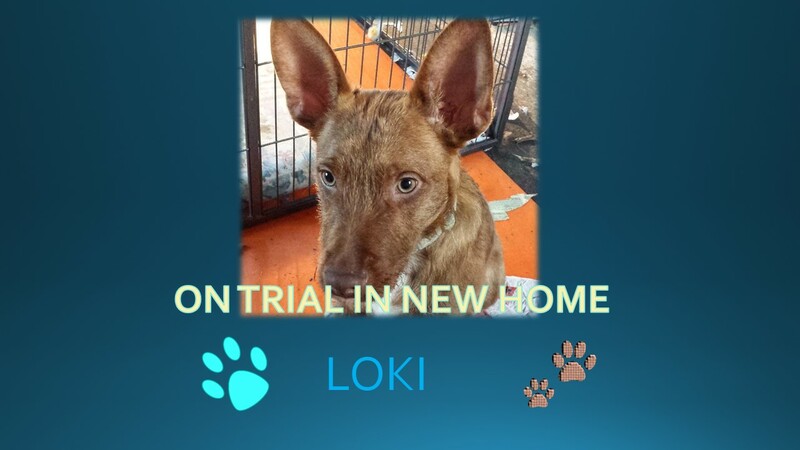 Meet LOKI….A bundle of podenco fun ! 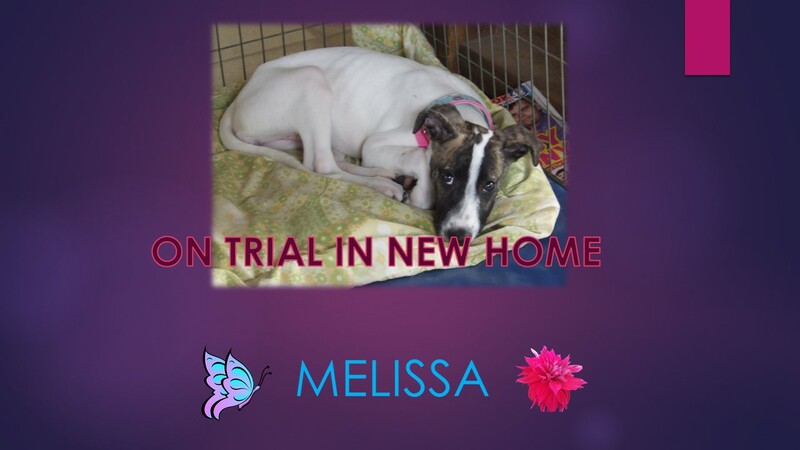 Meet MELISA…A gorgeous puppy ! 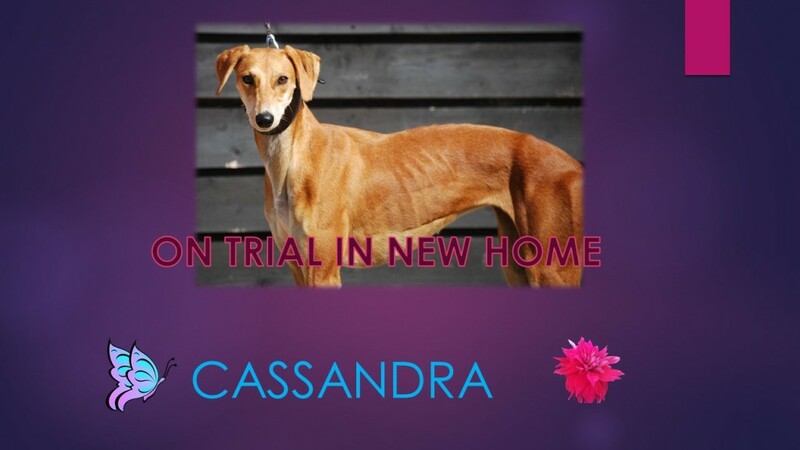 Meet CASSANDRA…She is a beaut !! 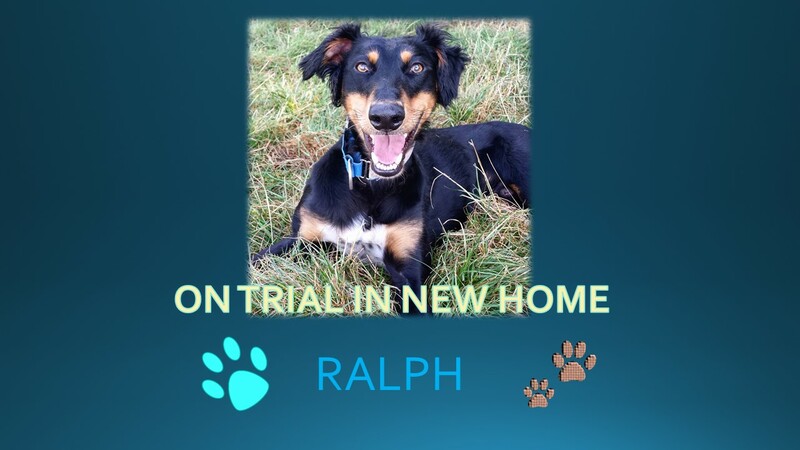 Meet RALPH…What a corker !! 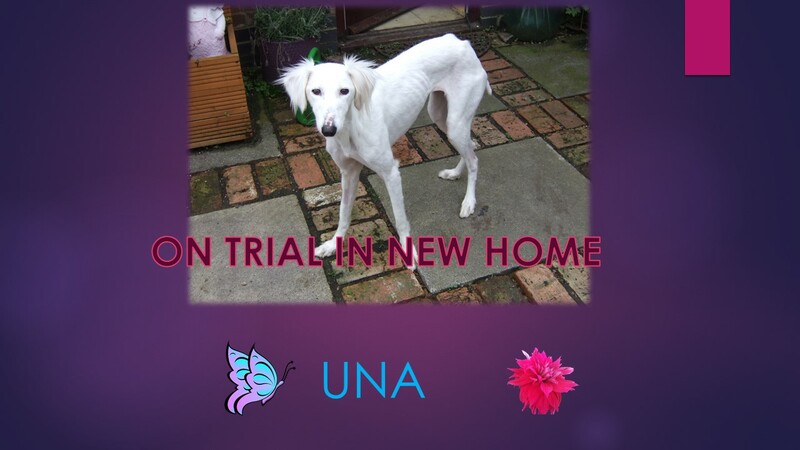 Meet ANNA..a rather splendid podenca…. 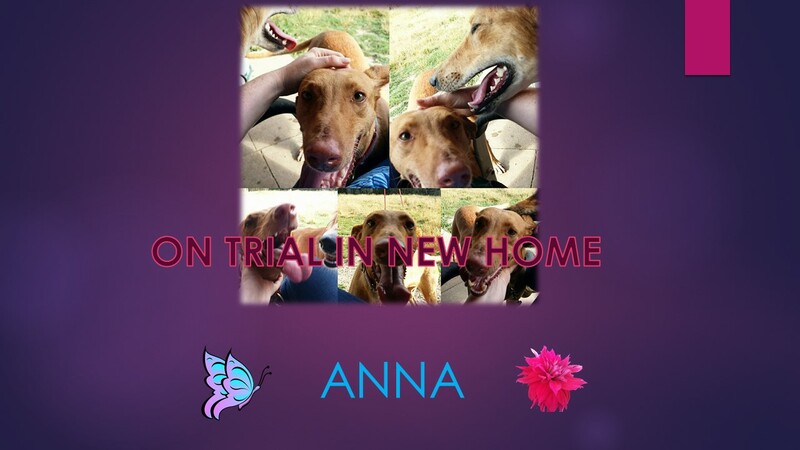 The beautiful ANNA was saved from the same perrera as Leon. 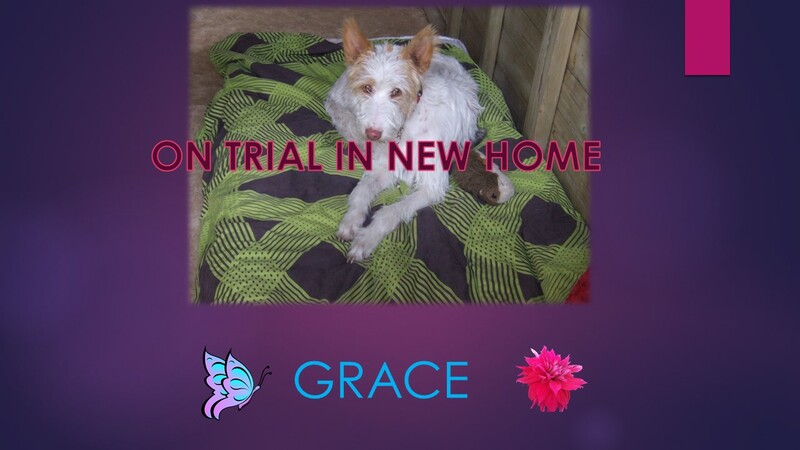 She is sooo sweet, has really come out of her shell having given up the will to live in Gran Canaria. 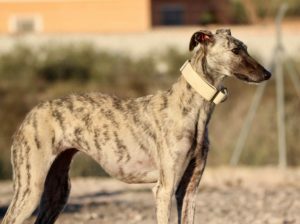 She would suit someone that is willing to spend some time with her spoiling her rotten. 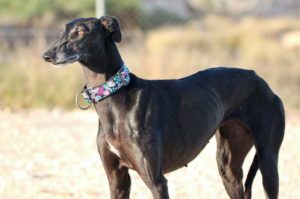 She is gorgeous and is fine with other dogs and people. 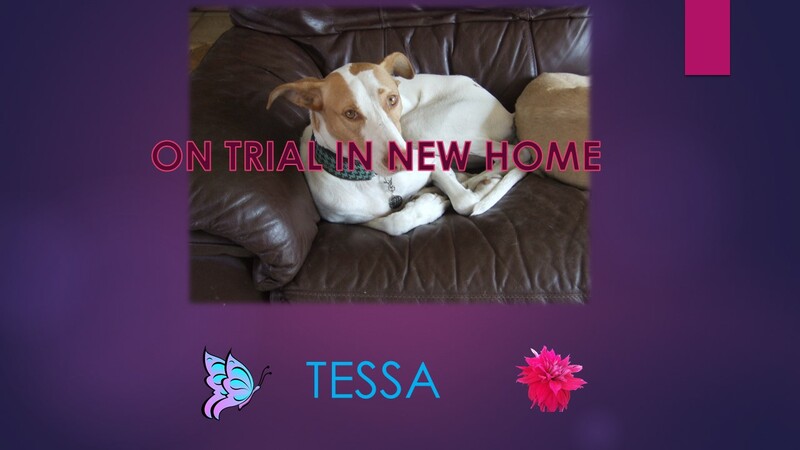 ON TRIAL SEPTEMBER 2016? 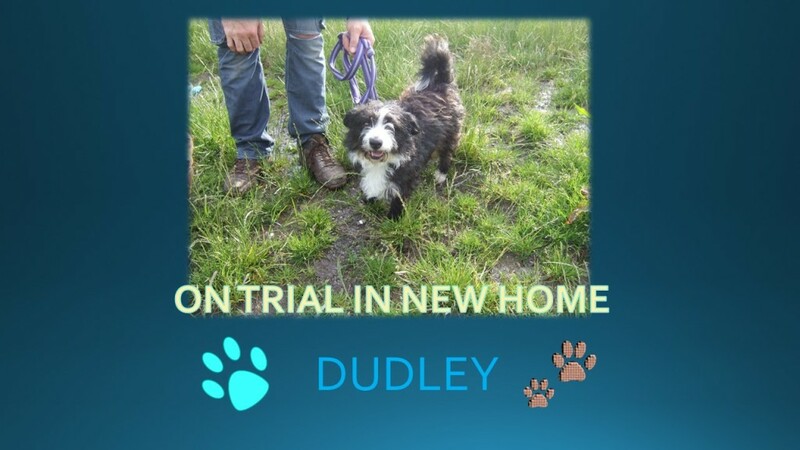 Meet DUDLEY..a scruffy heinz 57 ! 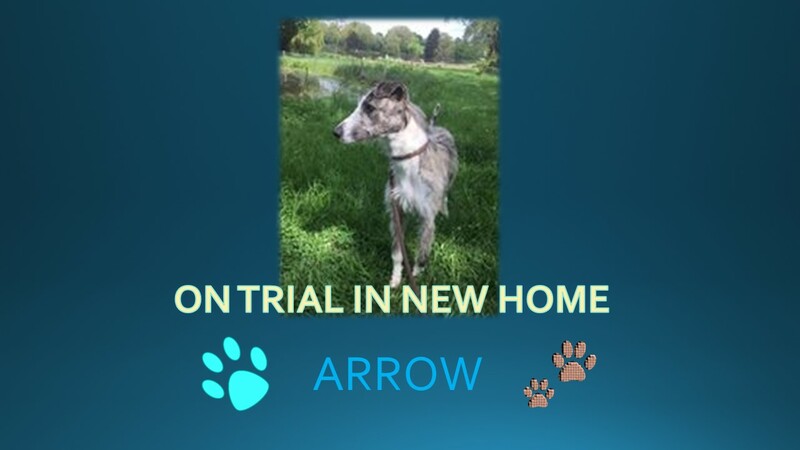 Meet ARROW – A tigger in disguise ! 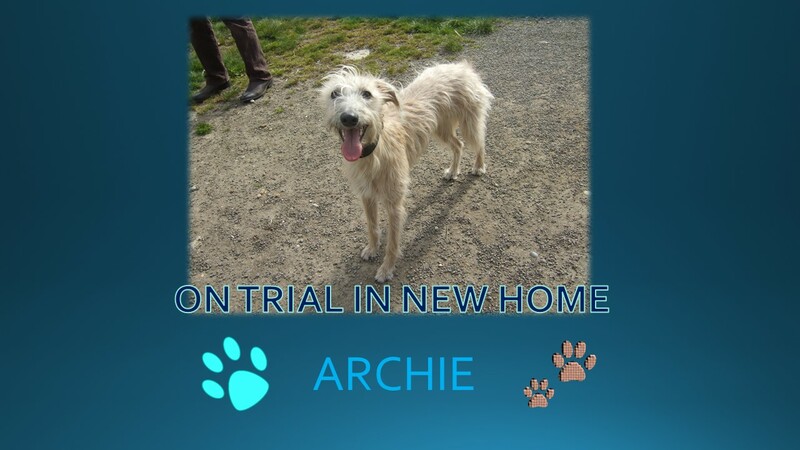 Meet ARCHIE…A super looking boy !! 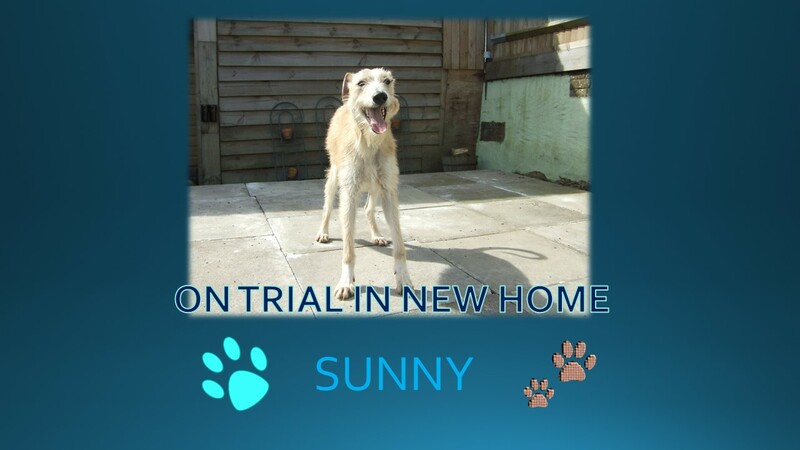 Meet SUNNY…A lovely scruff !! 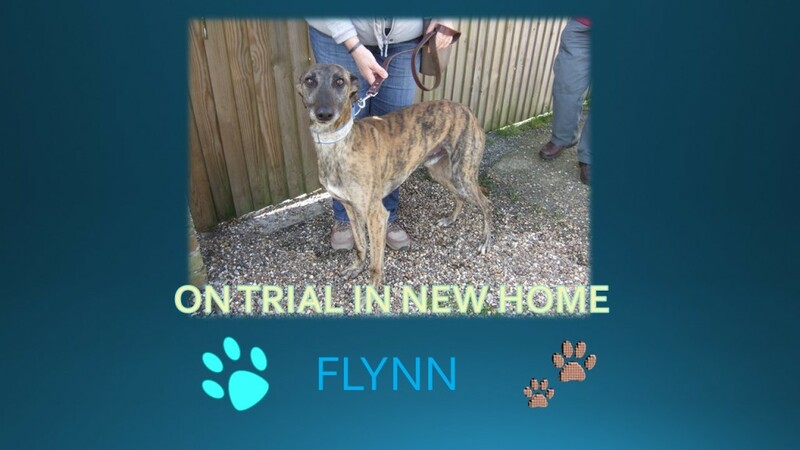 Meet FLYNN – A gorgeous bundle of brindleness ! Meet Dexter, a bouncy boy…. 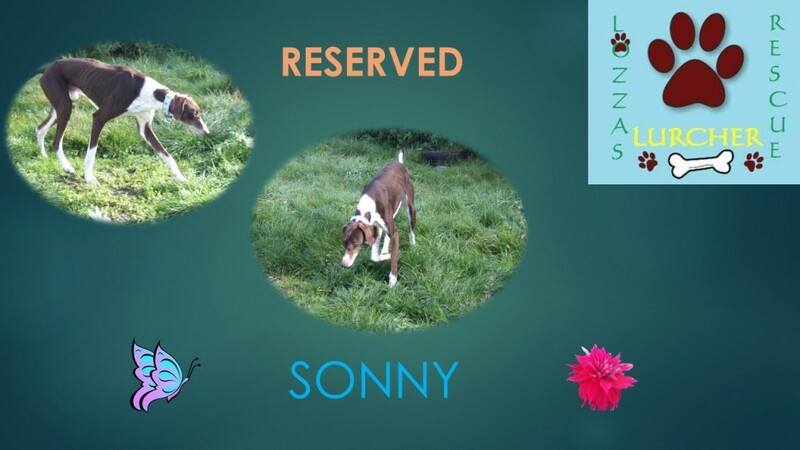 Meet Valentino – a handsome dude…..
Meet SONNY…very striking boy ! 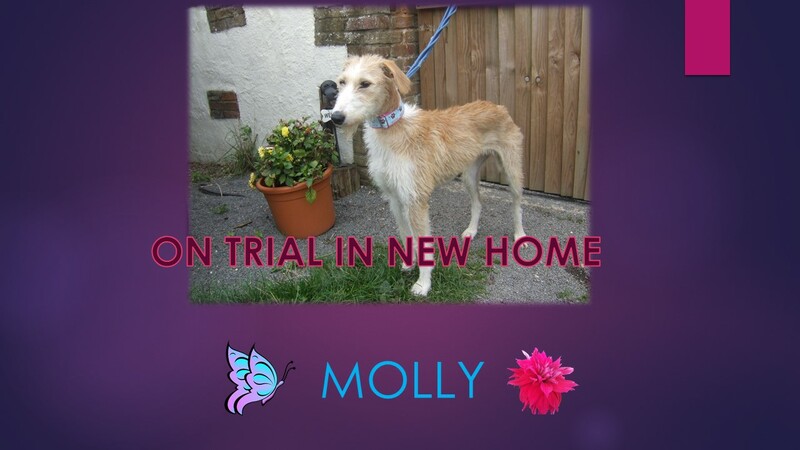 The lovely POLLY came into the pound along with MOLLY and is a total sweetheart. 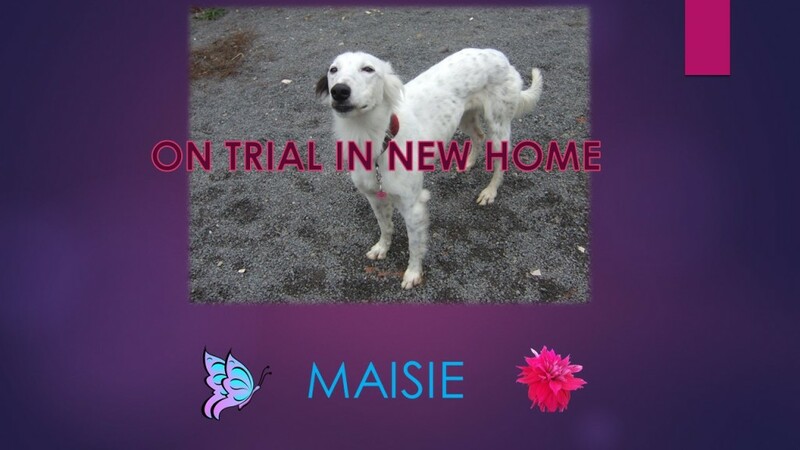 Bit wary of other dogs, enjoying her own space a bit but adores people and especially children. 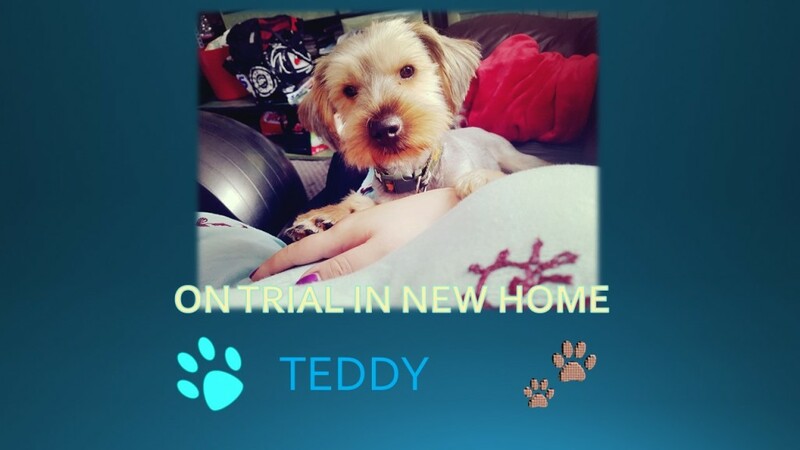 A real cuddle monster…SEPTEMBER 2015. 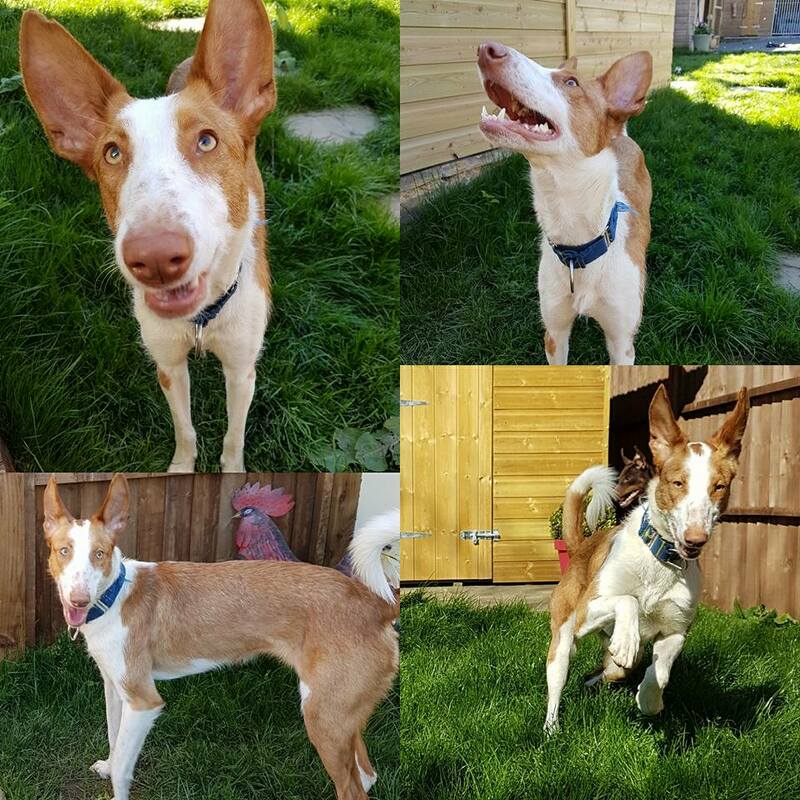 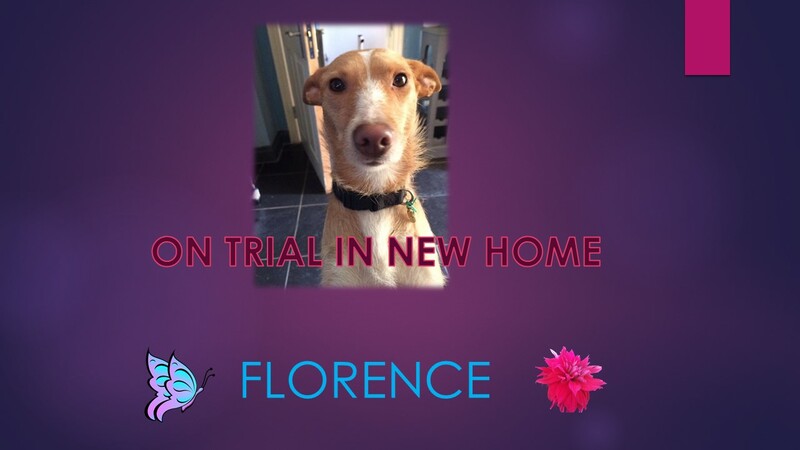 Meet INDIE – a gorgeous partially deaf podenco…..
Meet FLASH – A very handsome stunner ! 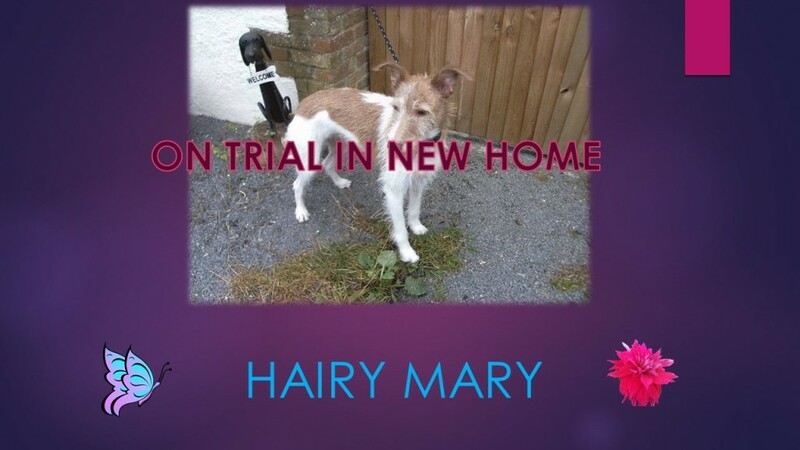 Meet Hairy Mary – an unusual looking girlie…. 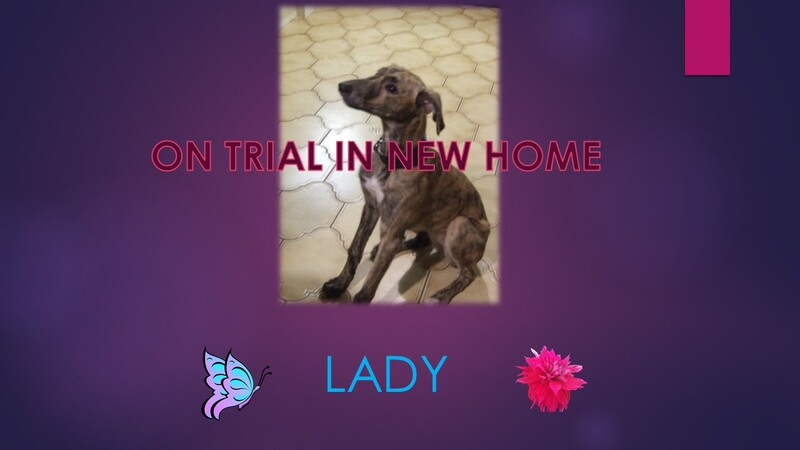 This is Hairy Mary, she turned up at another rescue as a stray and they asked for LLR’s help as it was felt that a specialist lurcher rescue was required for her. 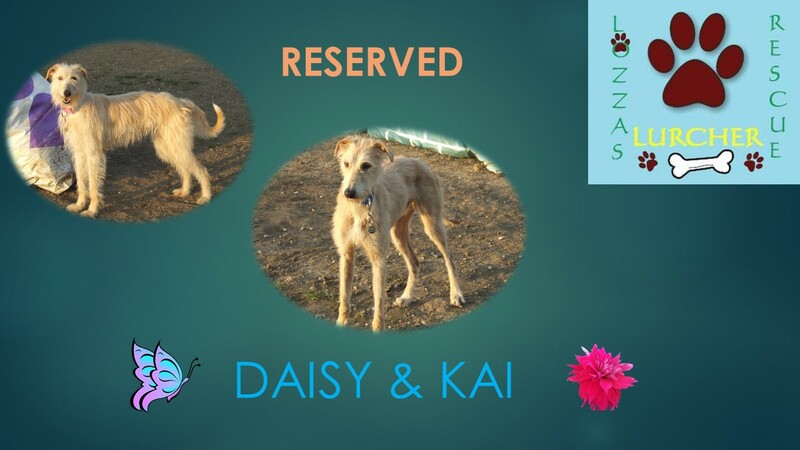 This girl has gone into foster for a thorough assessment and this is her report..
Meet DAISY and KAI… Litter mates and stunners !!! 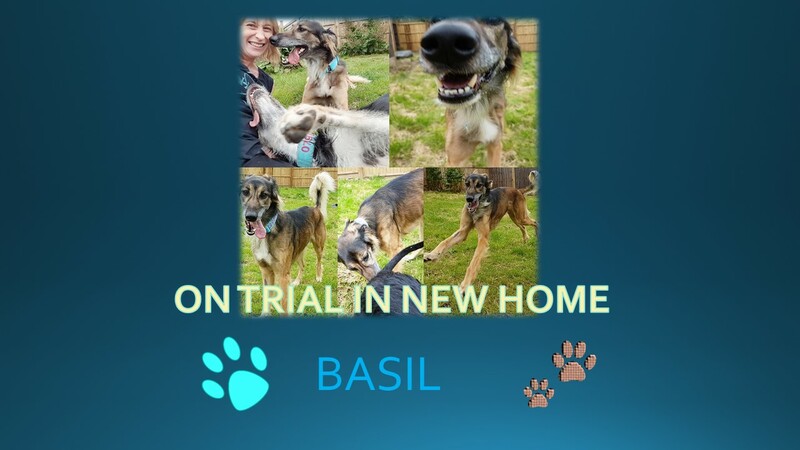 Meet BASIL….A big boy !!! 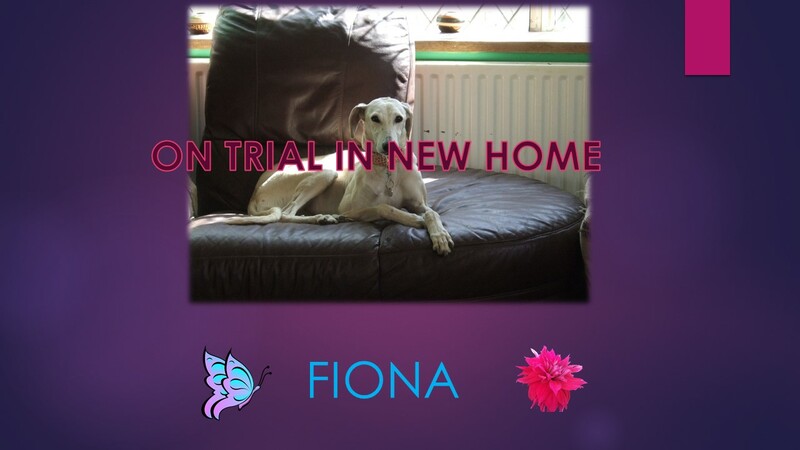 Meet FIONA… a stunner !! Meet ROSSETTI – what a corker ! !